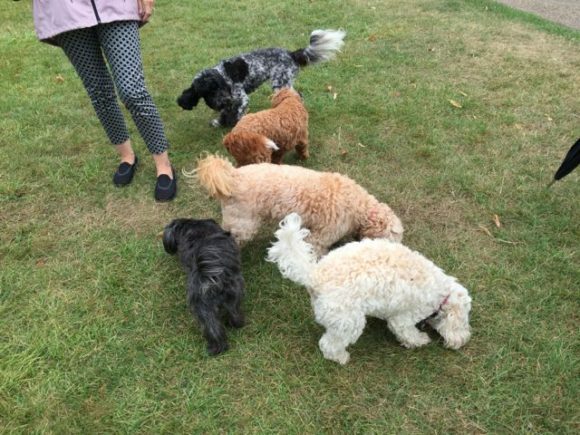 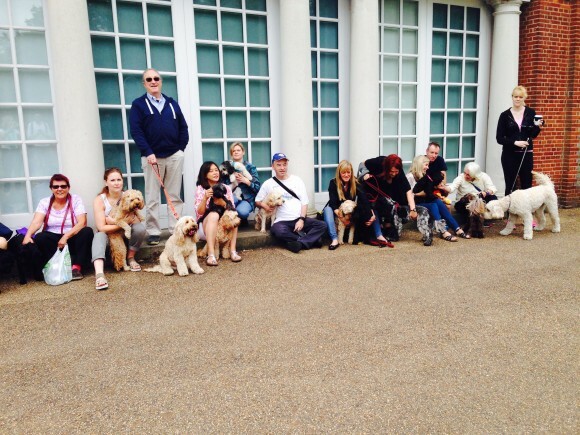 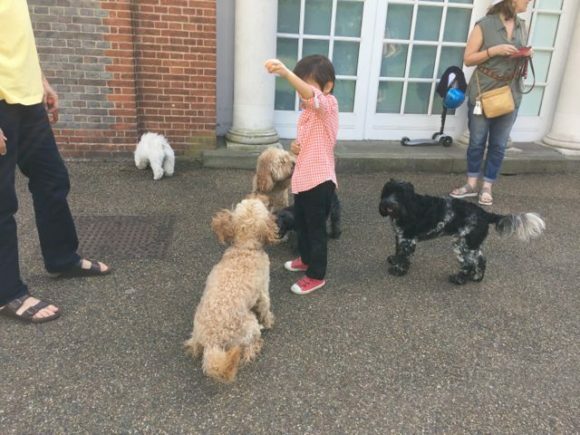 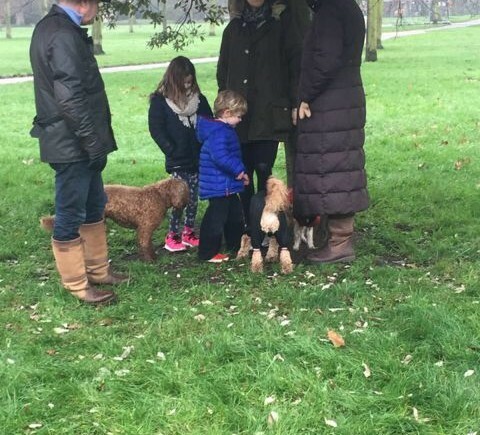 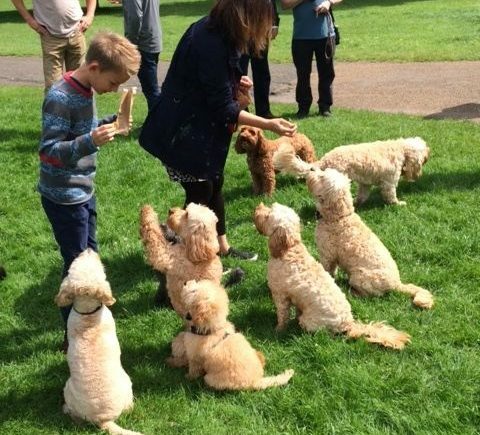 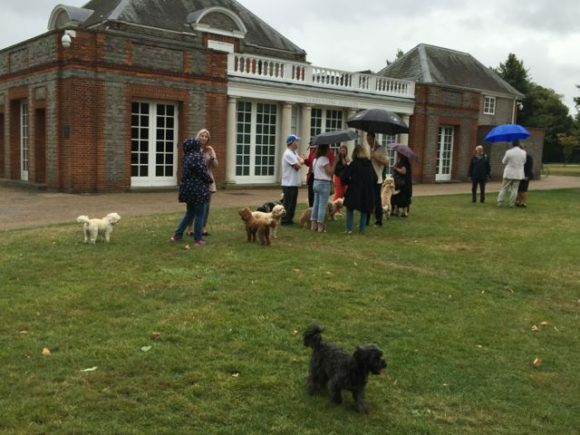 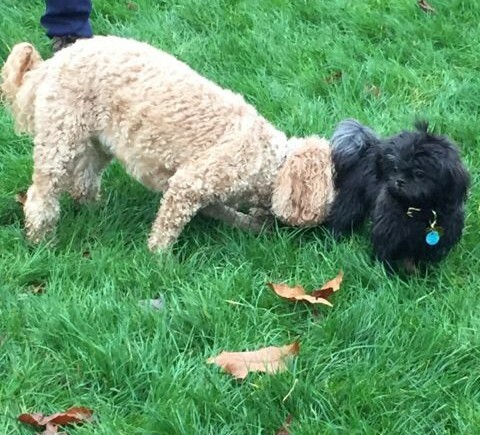 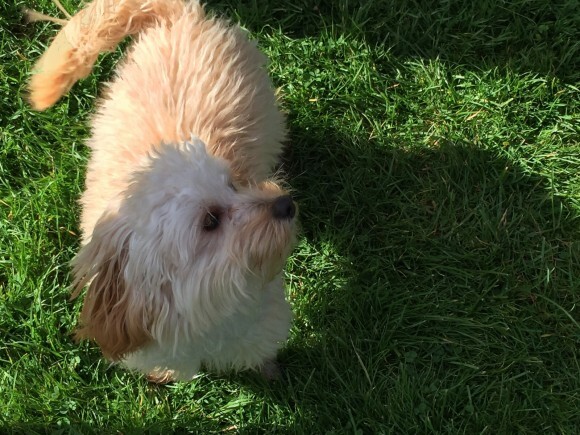 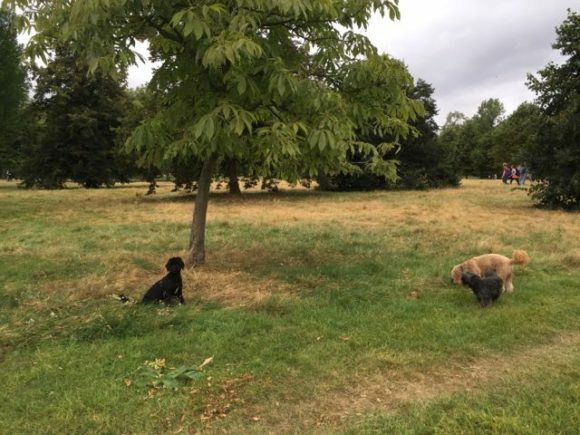 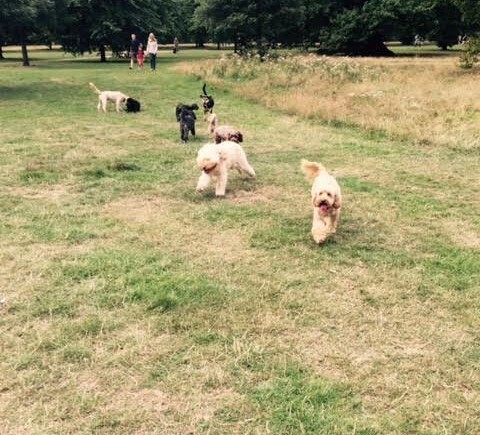 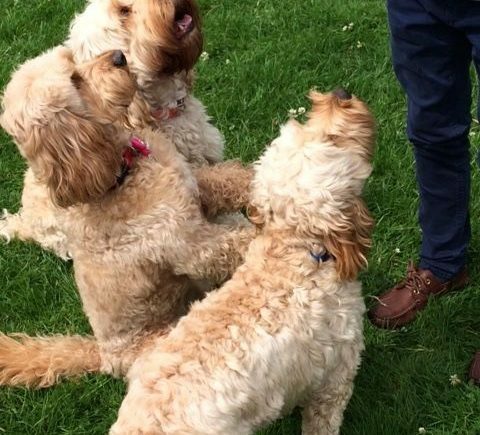 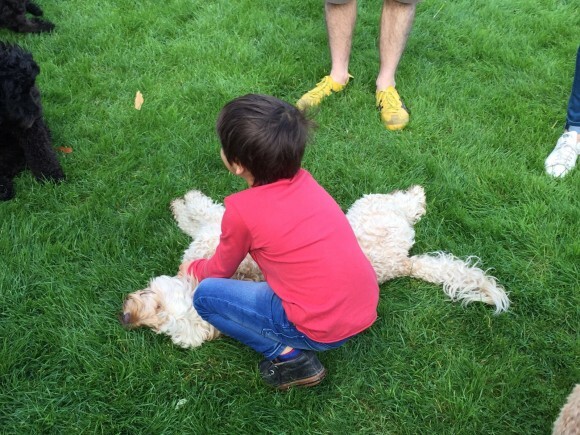 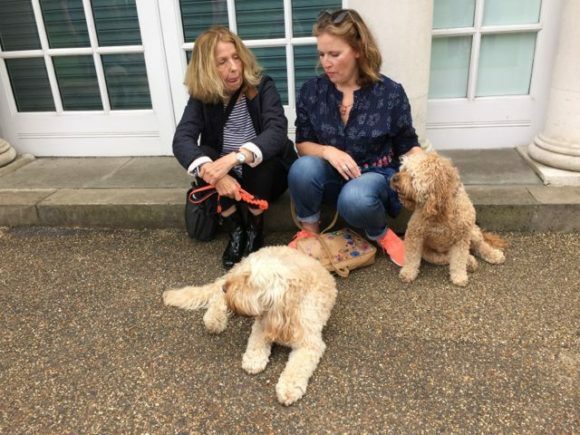 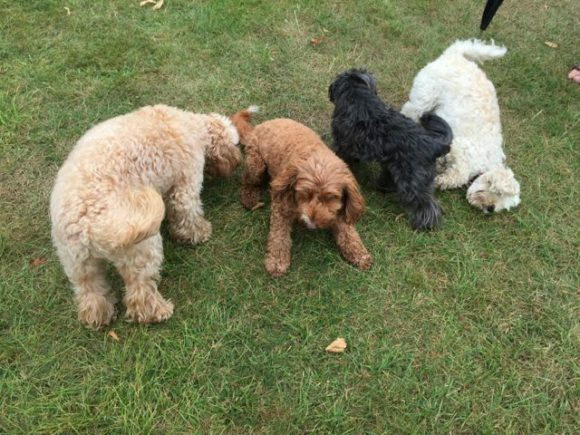 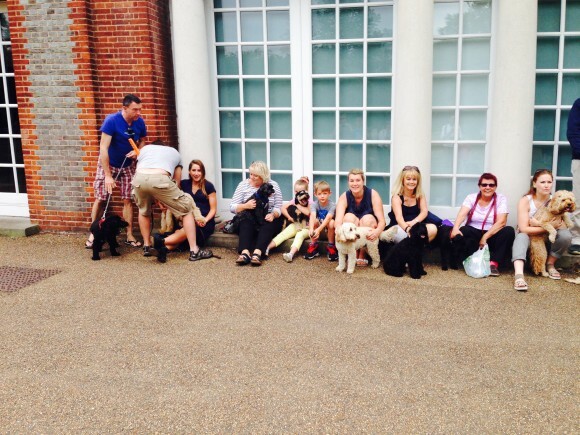 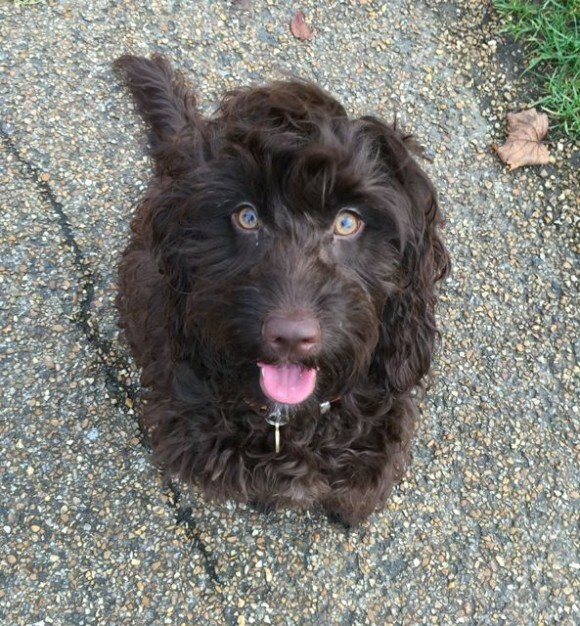 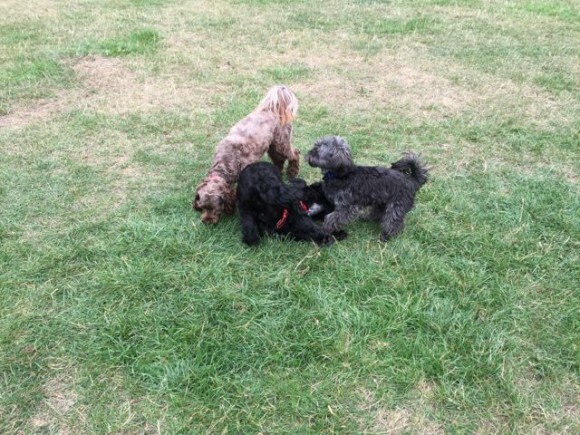 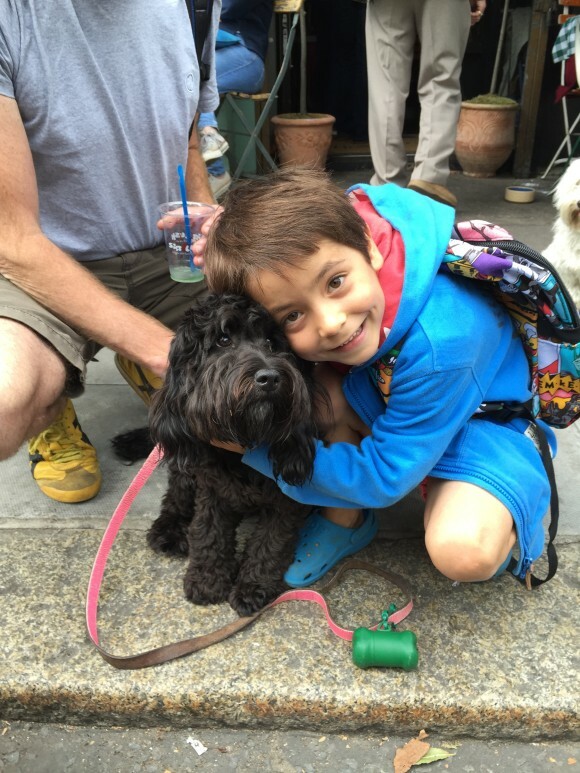 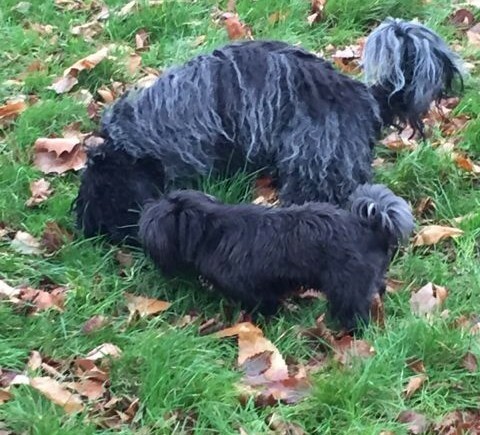 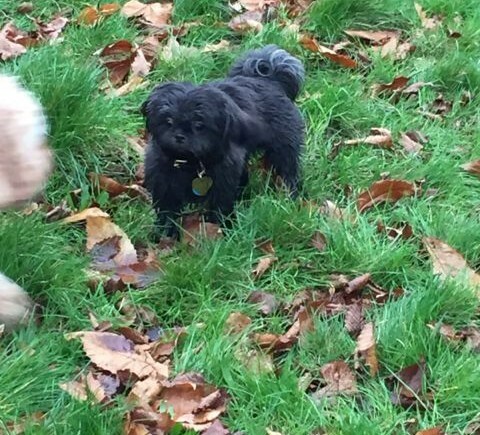 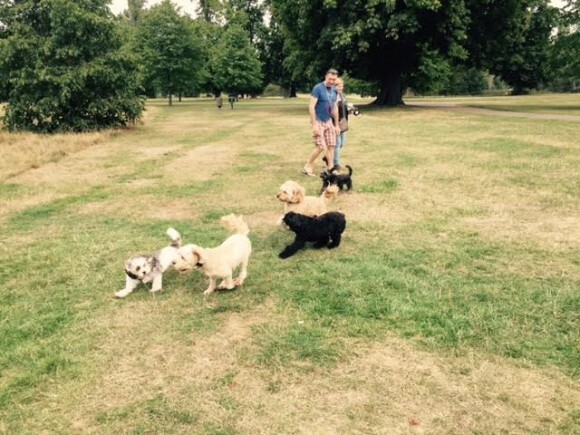 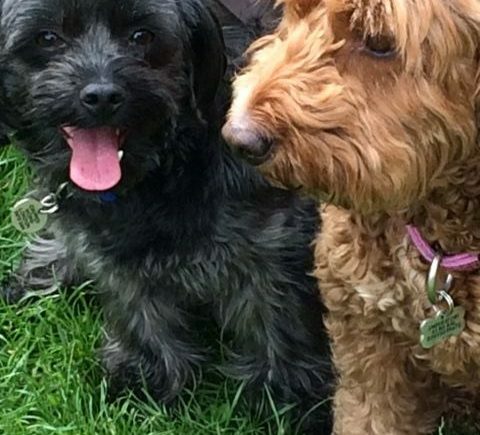 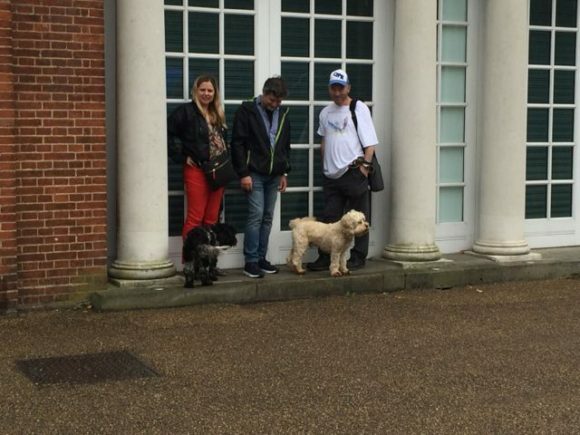 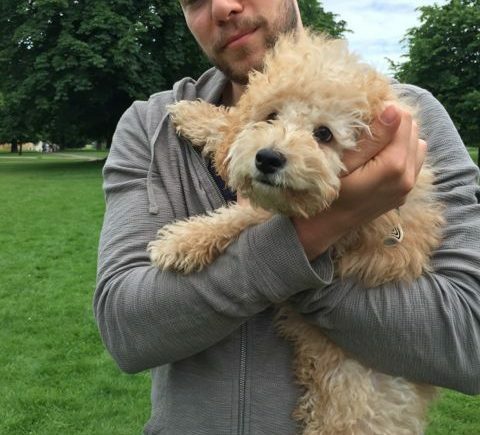 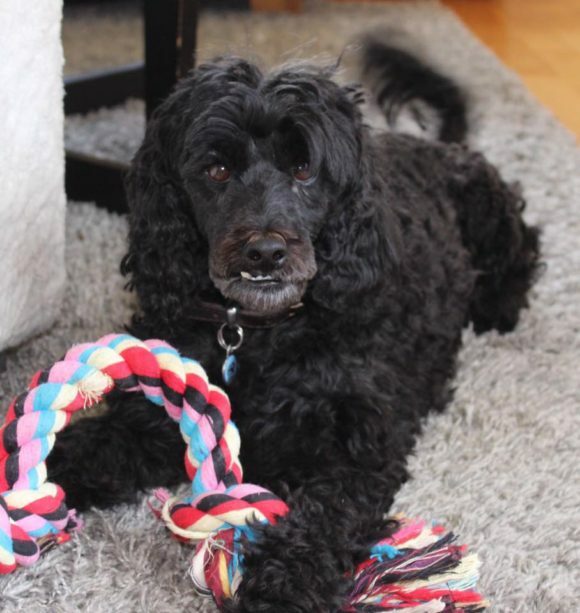 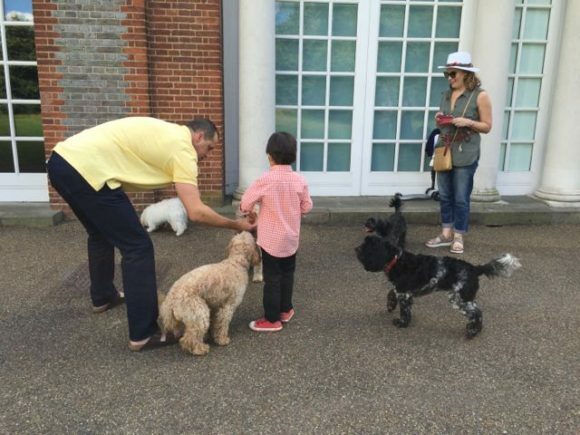 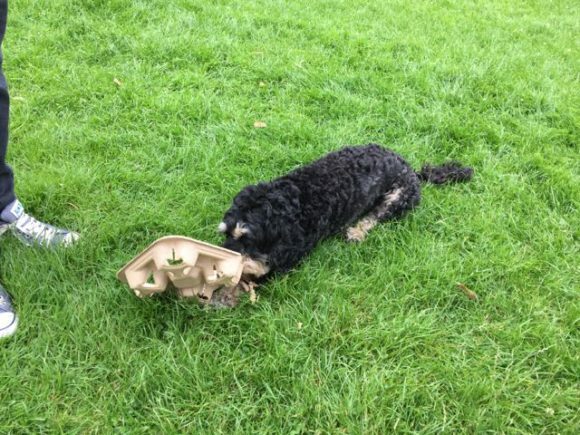 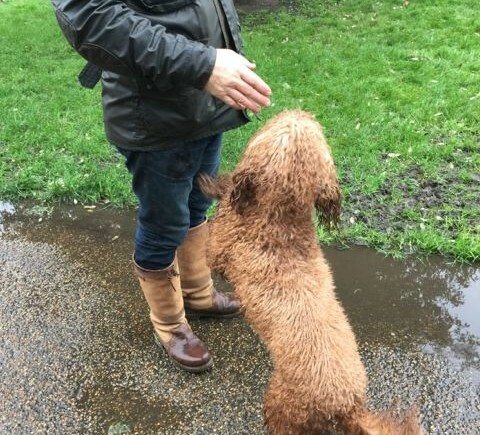 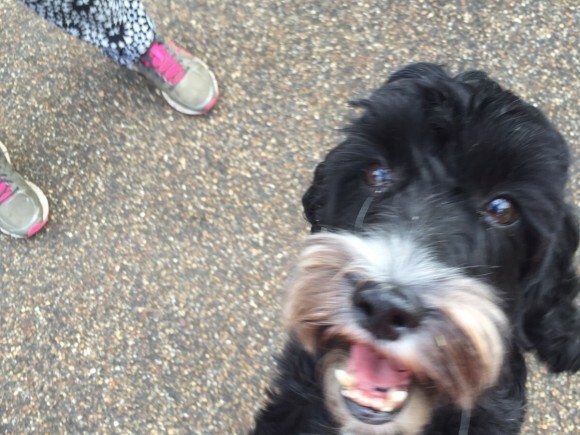 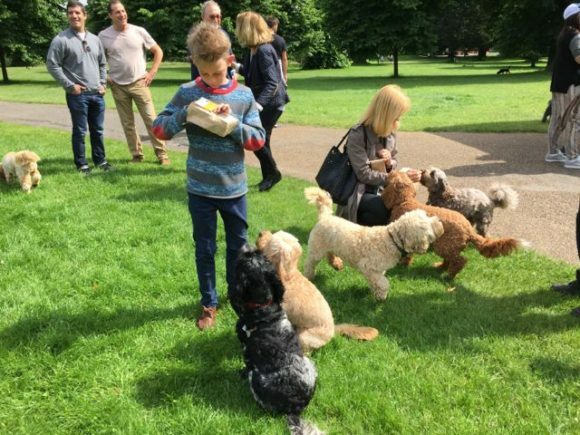 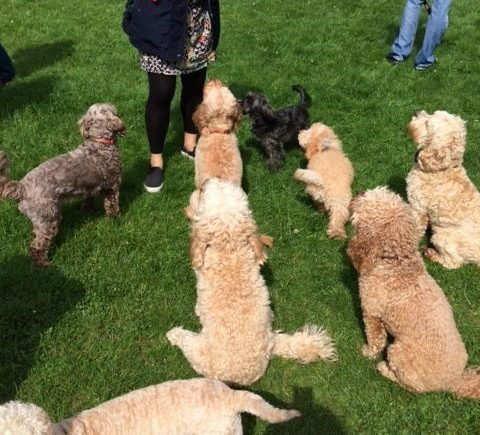 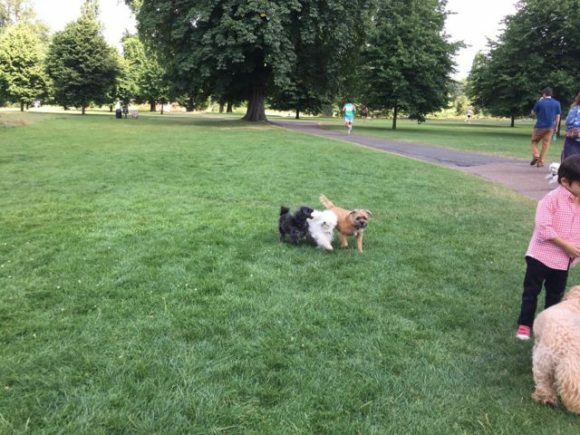 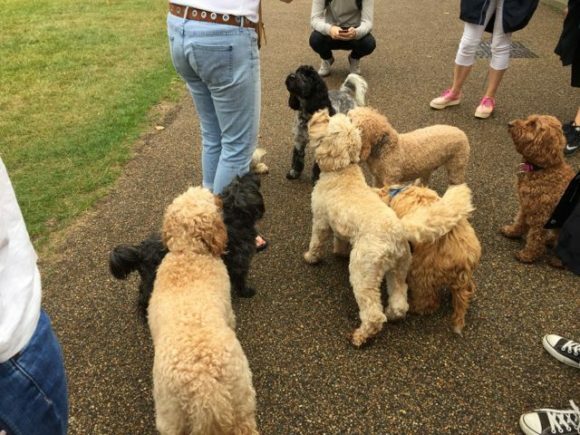 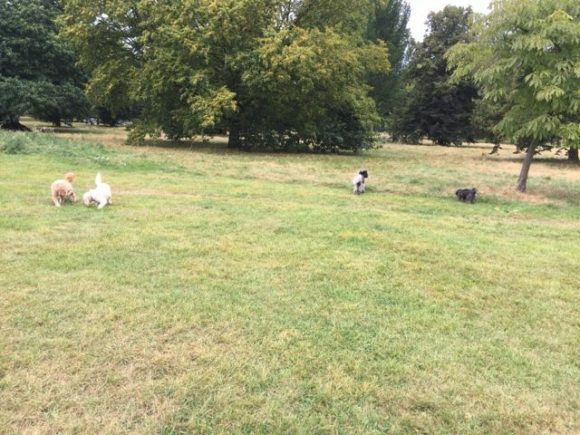 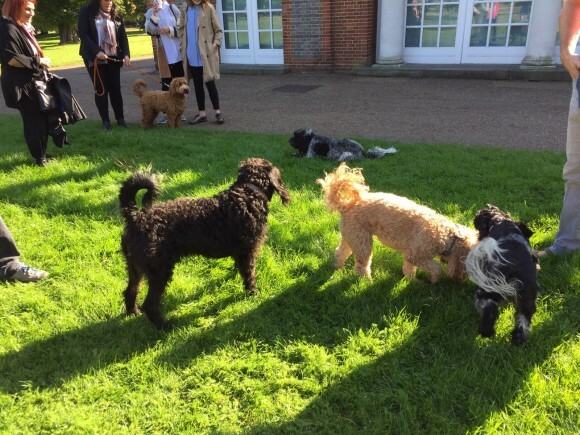 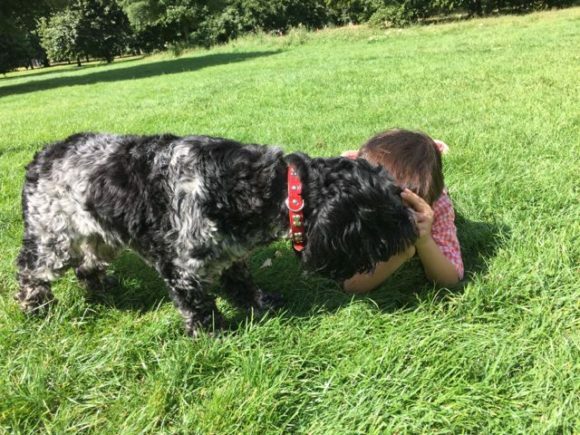 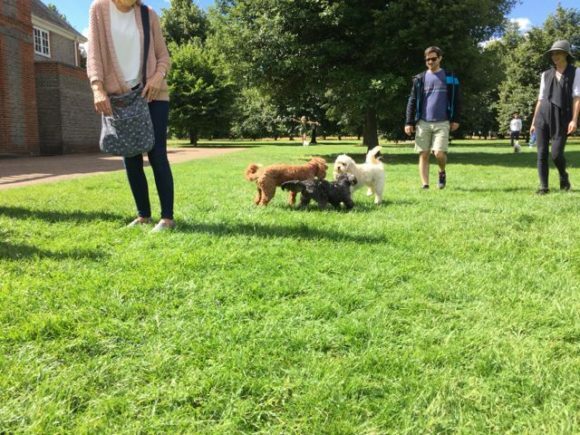 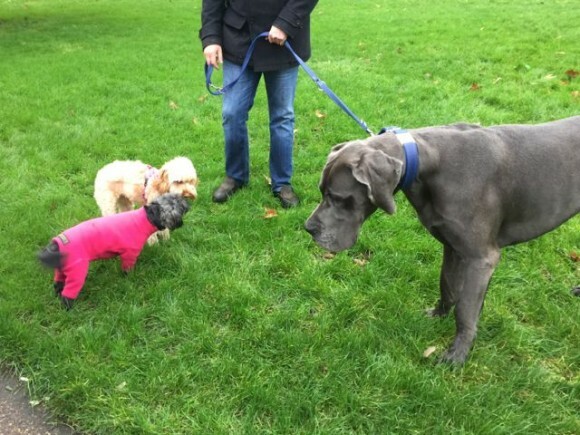 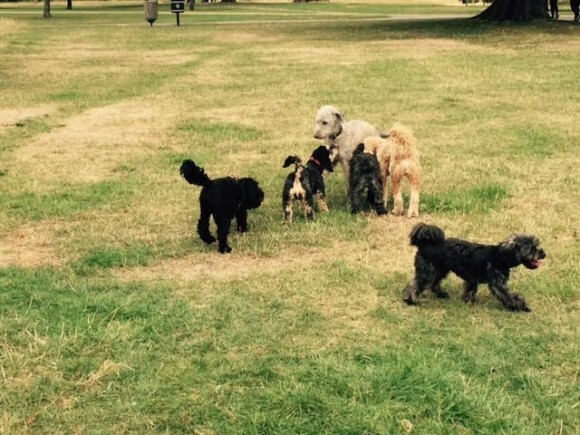 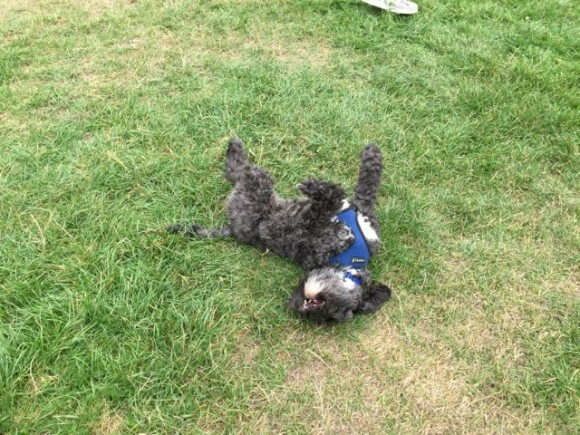 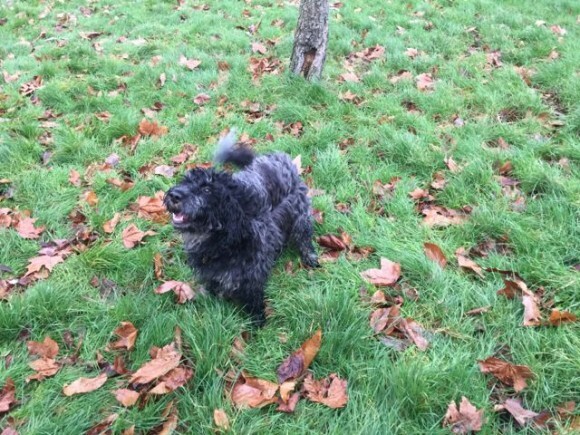 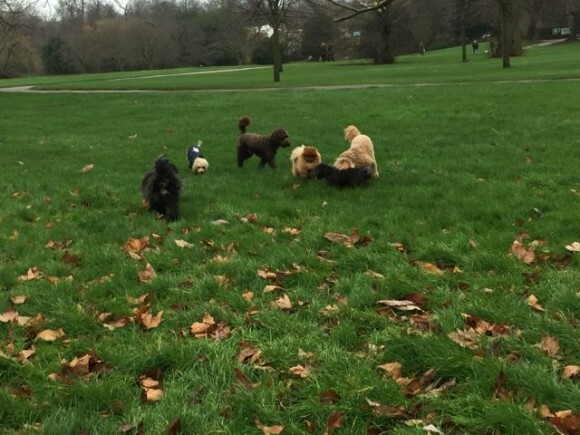 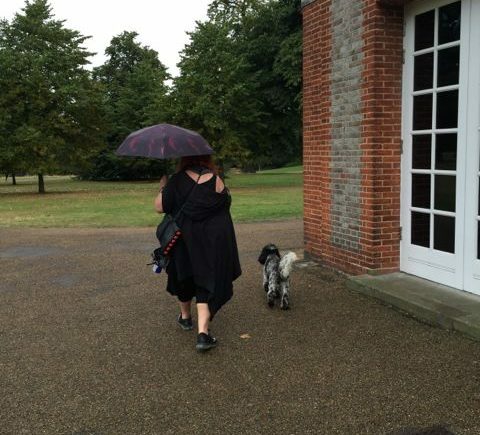 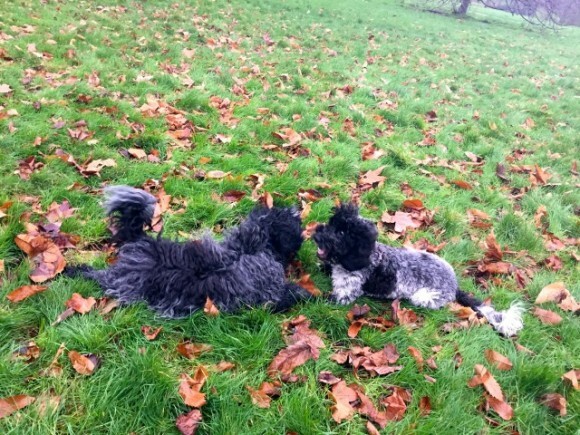 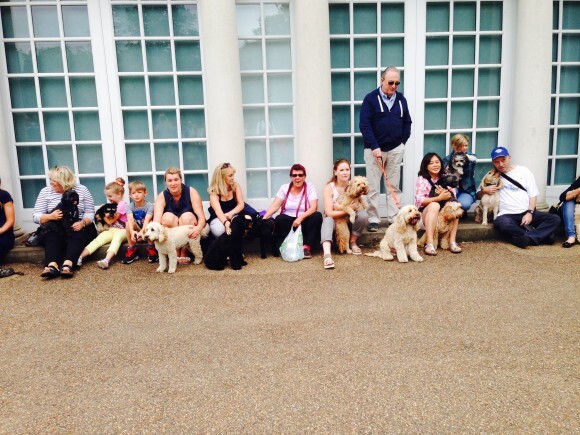 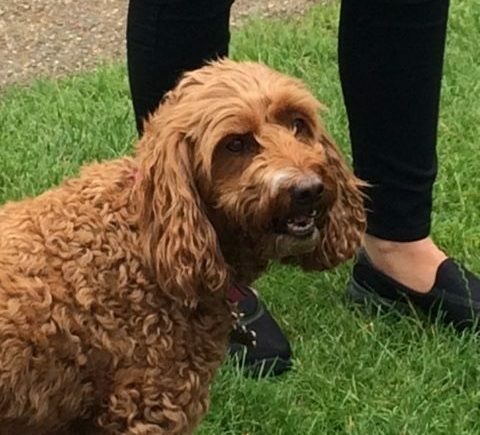 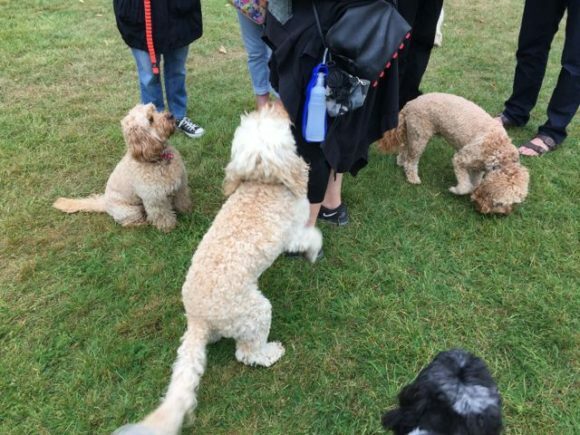 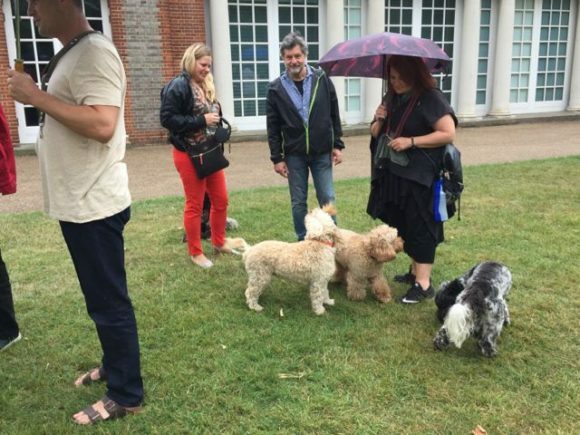 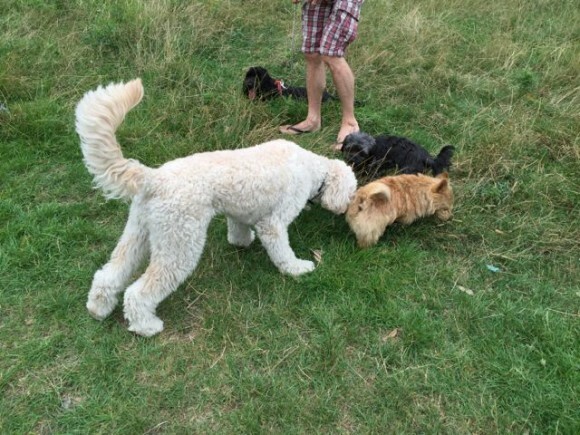 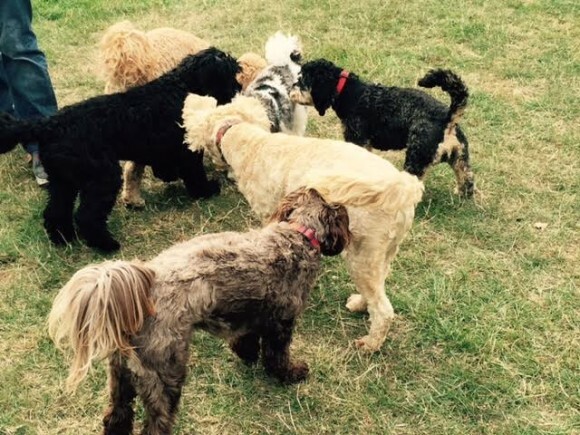 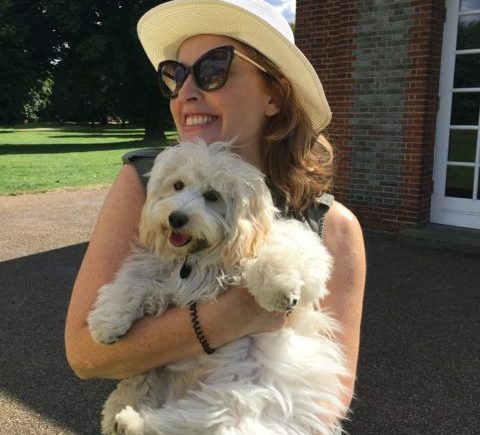 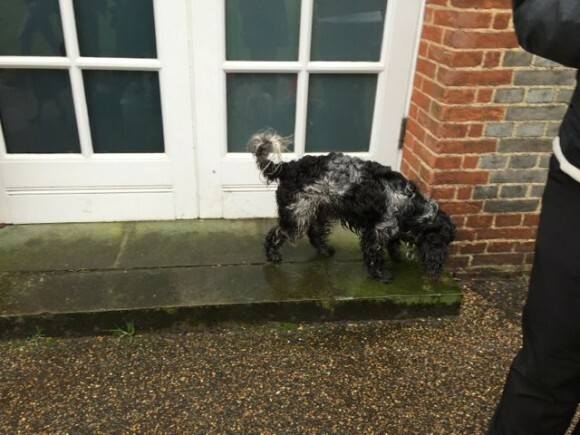 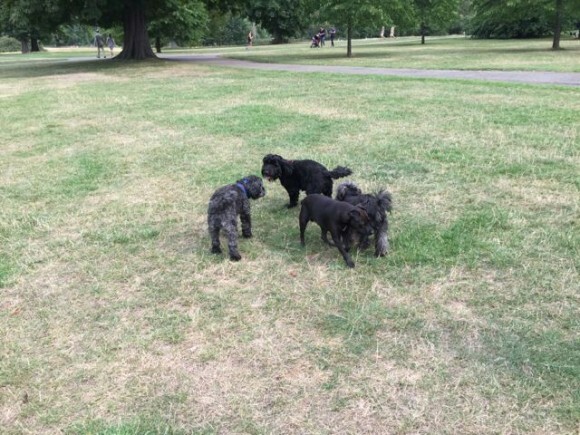 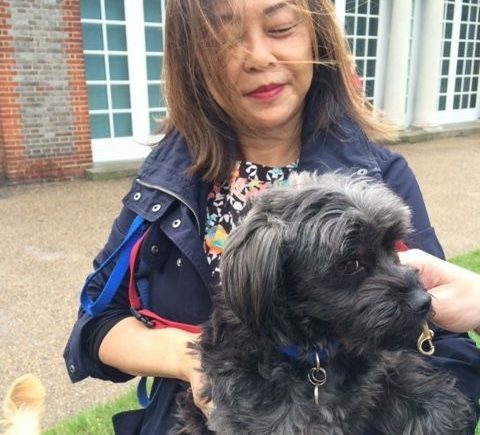 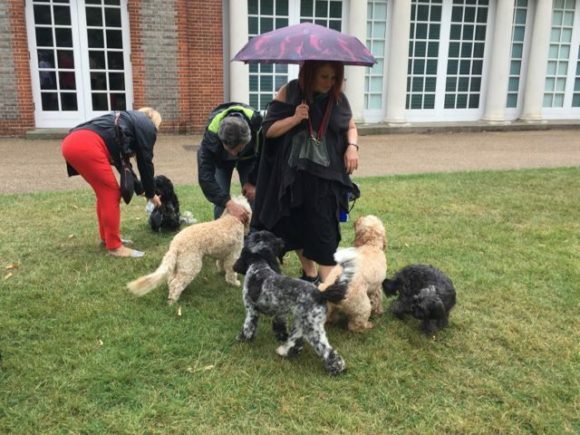 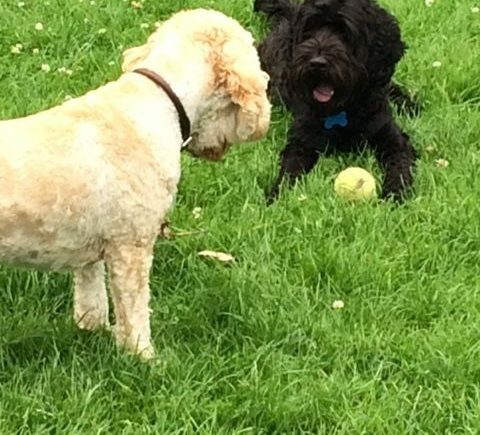 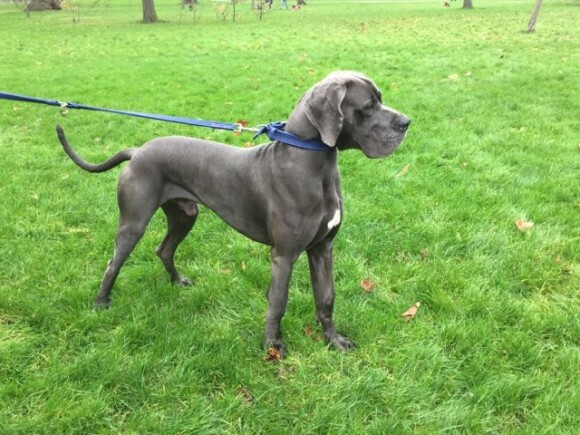 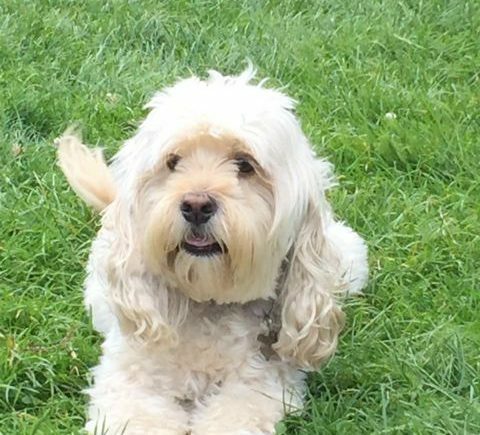 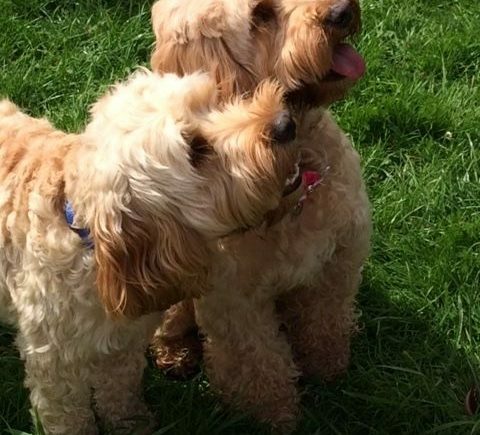 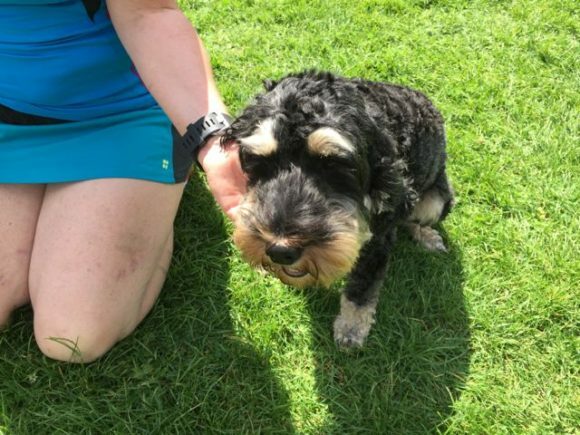 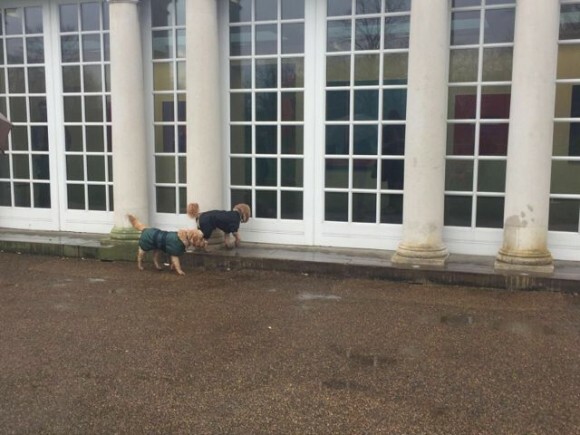 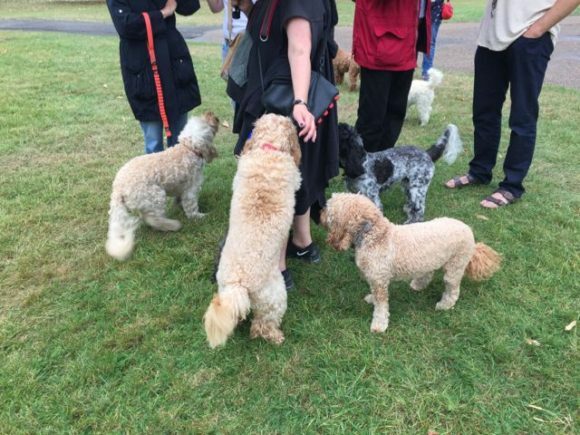 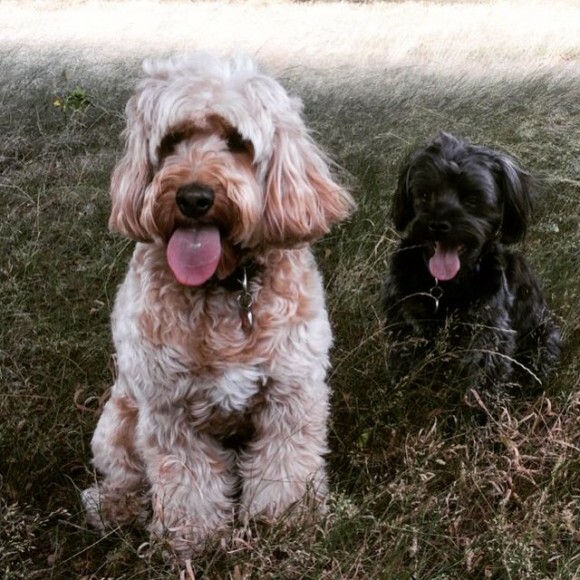 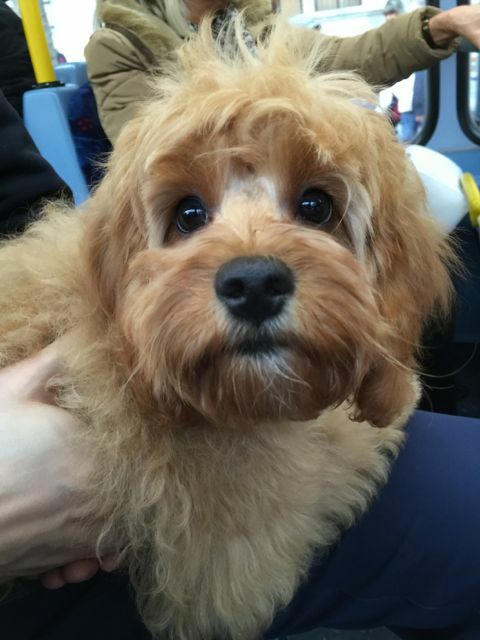 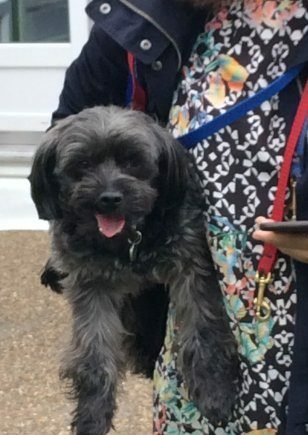 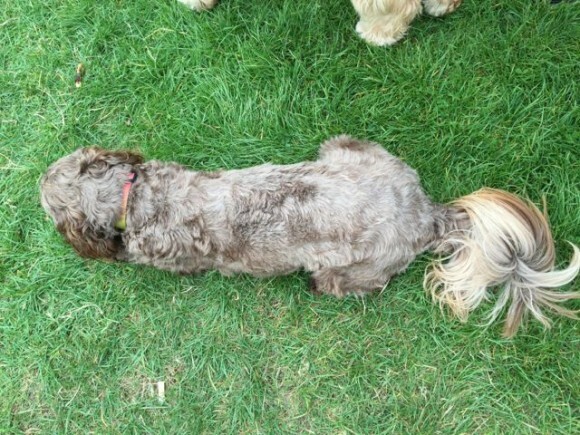 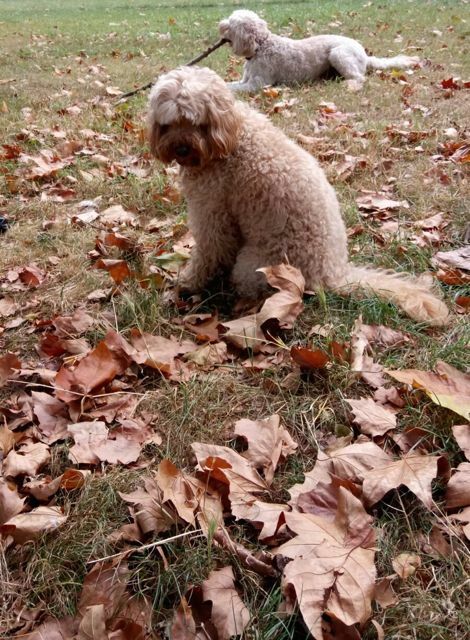 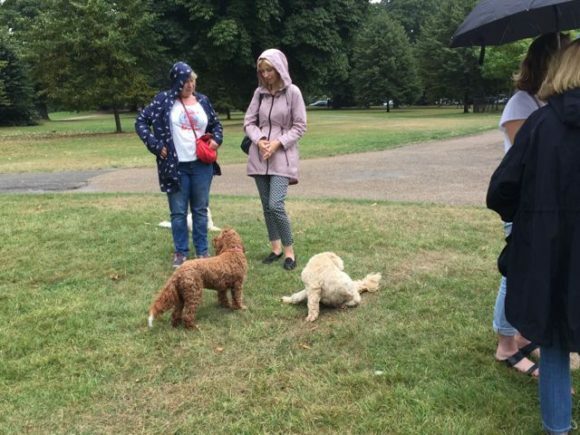 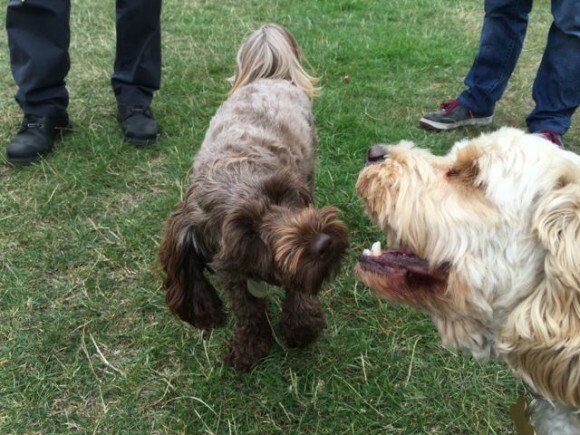 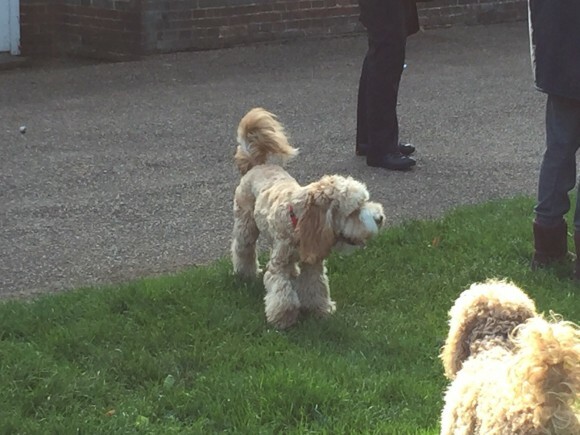 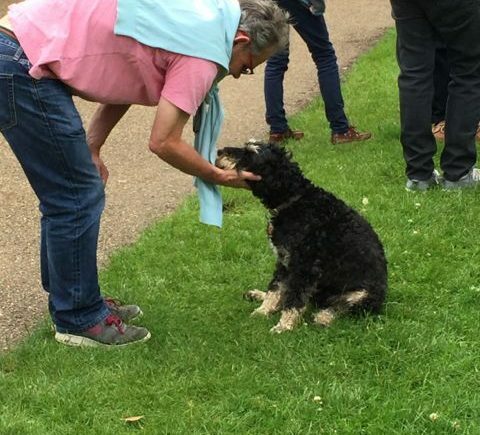 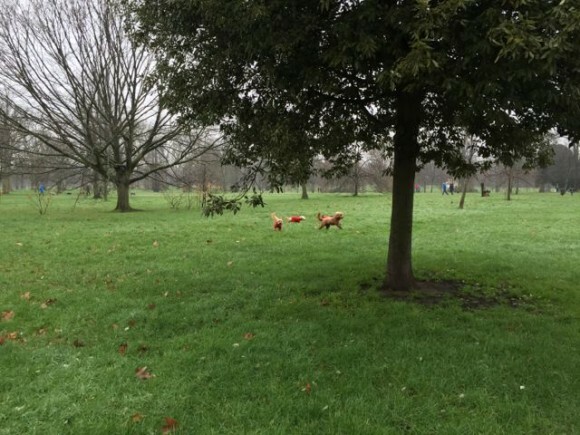 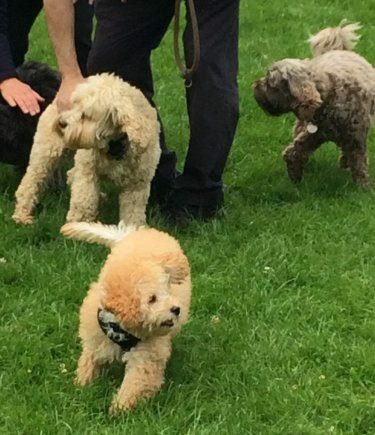 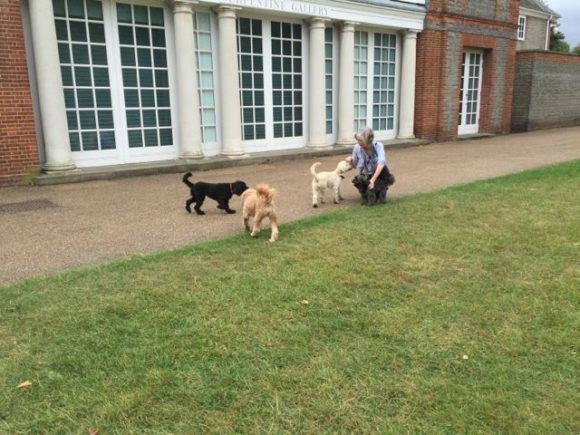 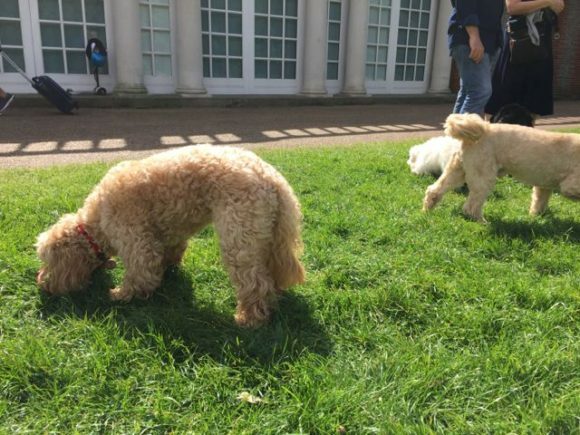 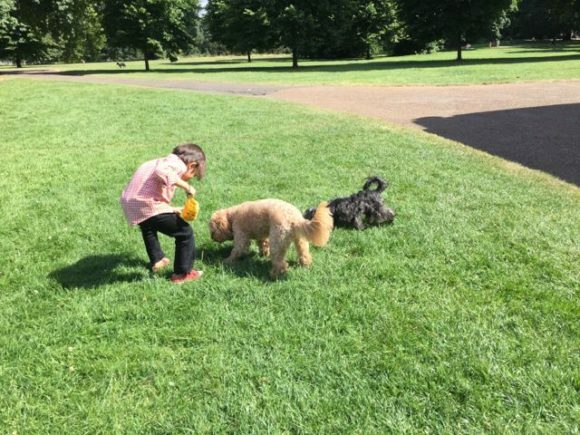 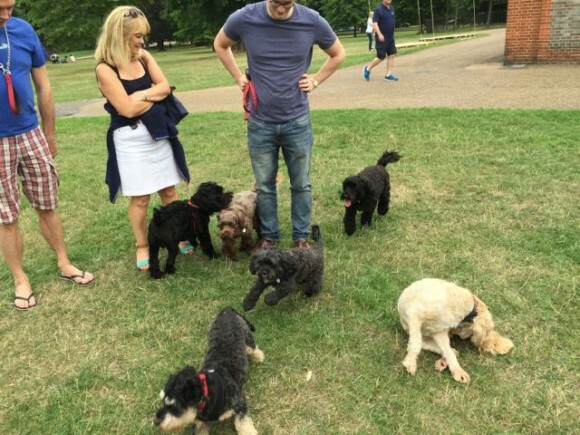 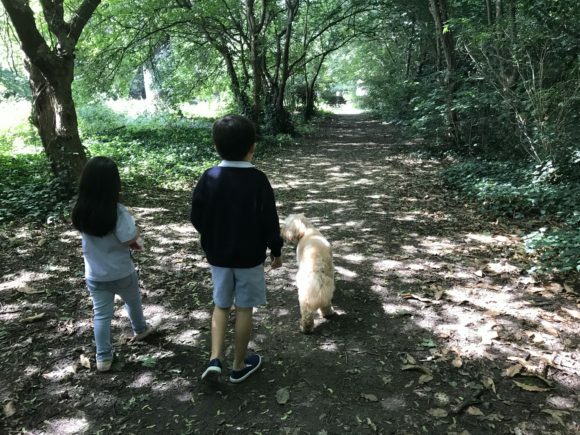 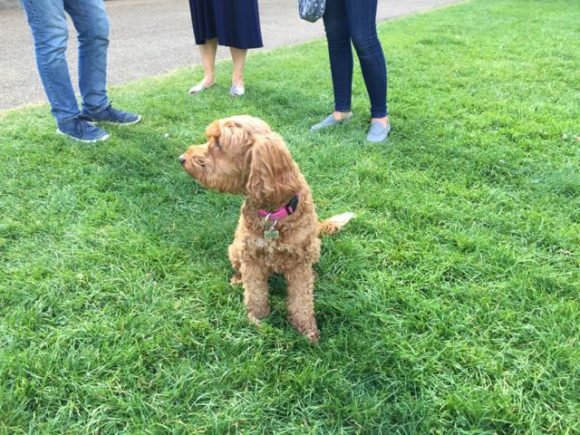 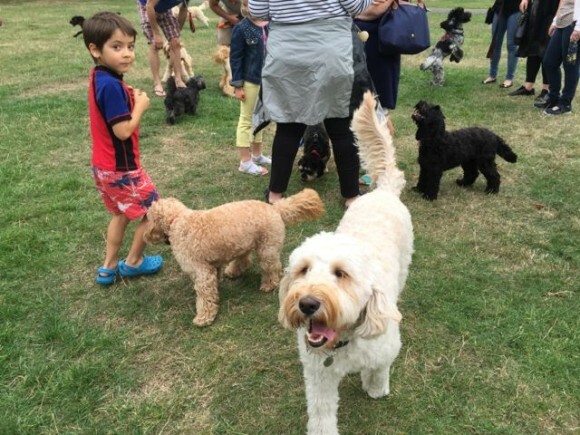 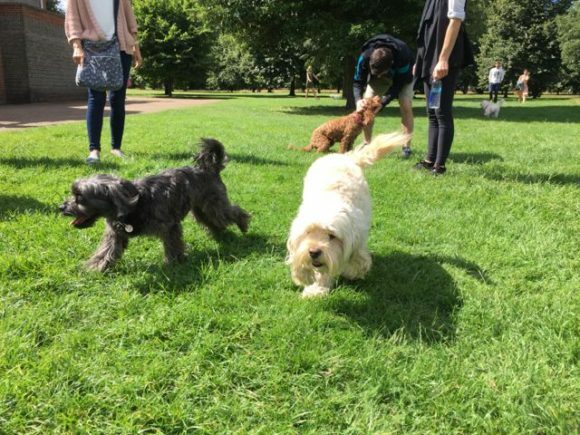 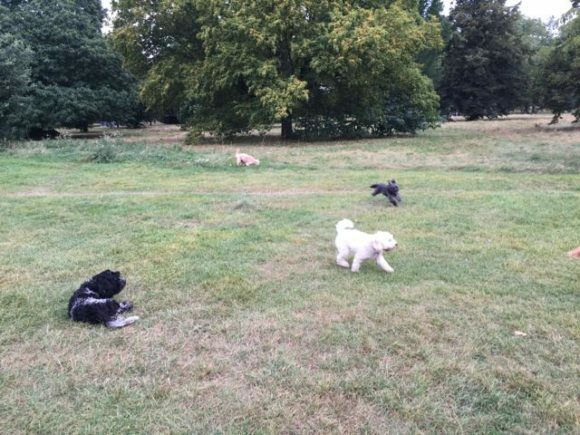 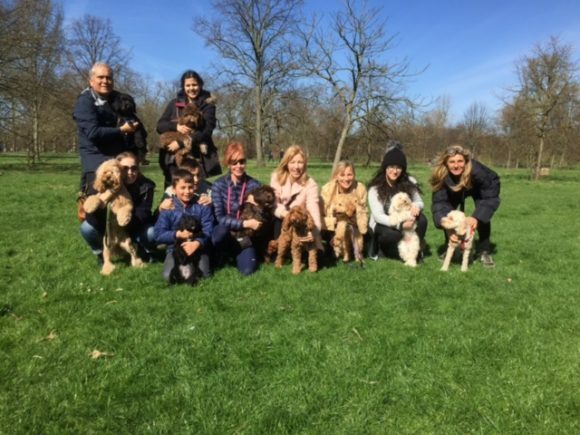 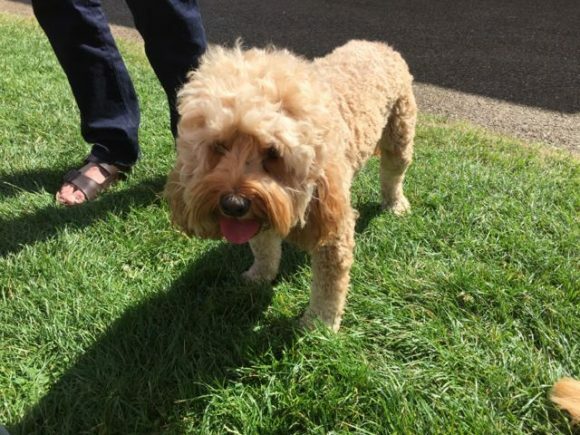 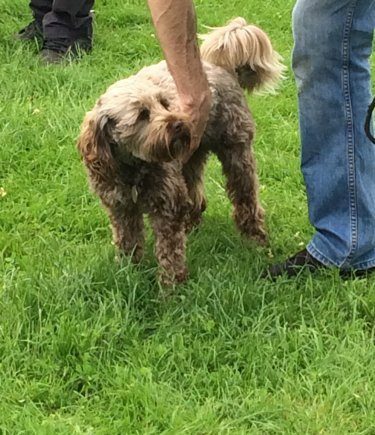 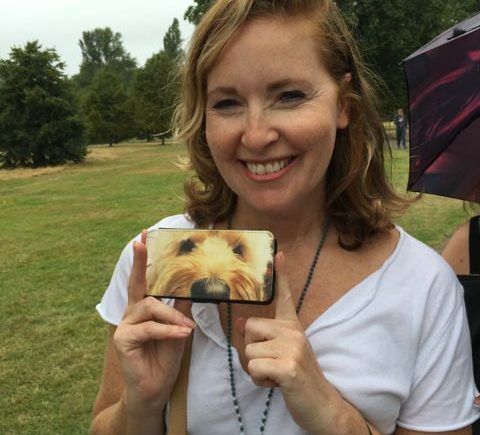 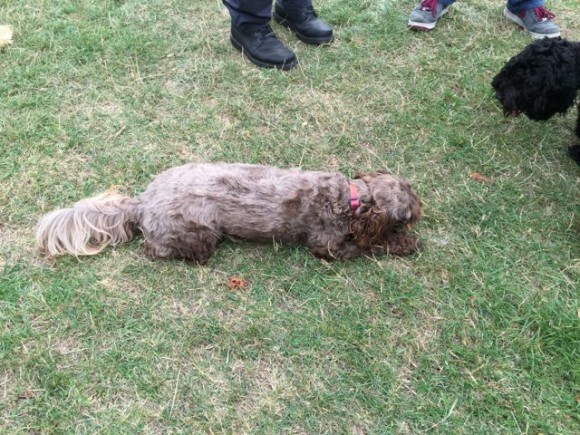 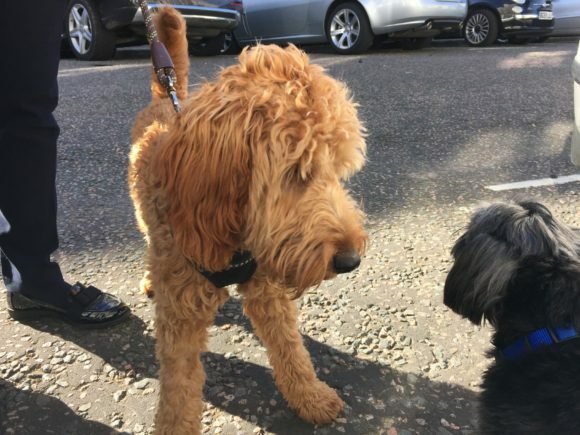 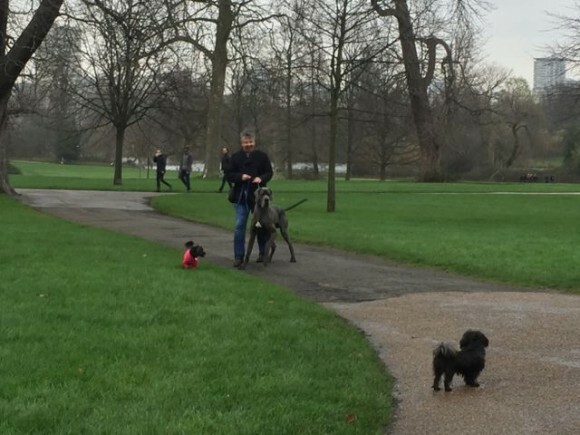 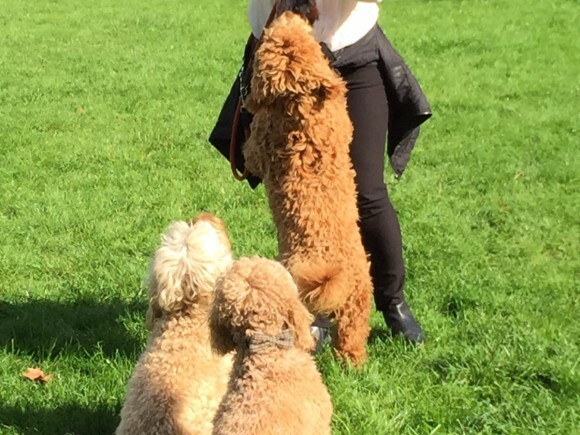 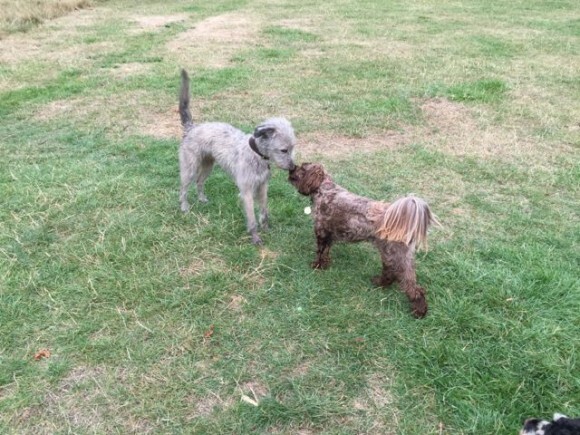 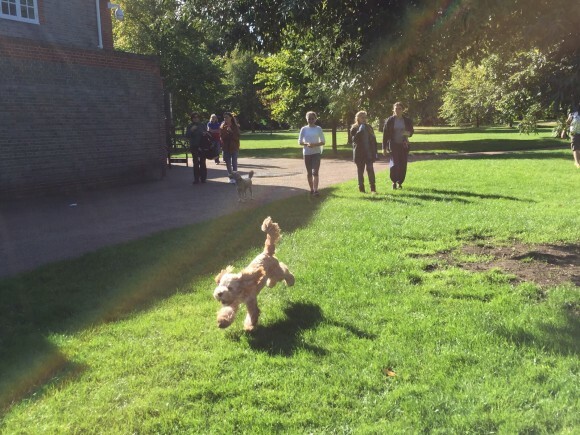 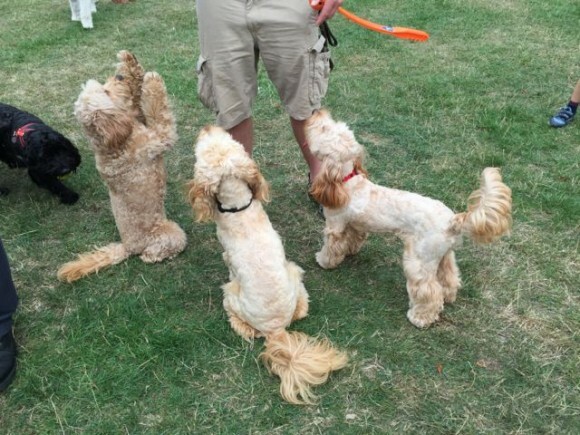 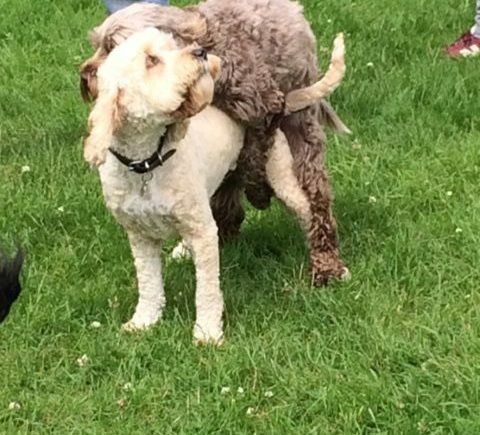 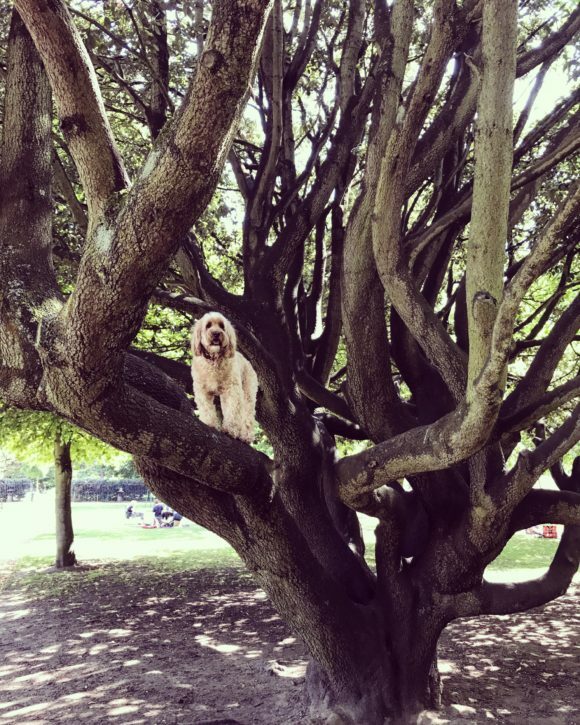 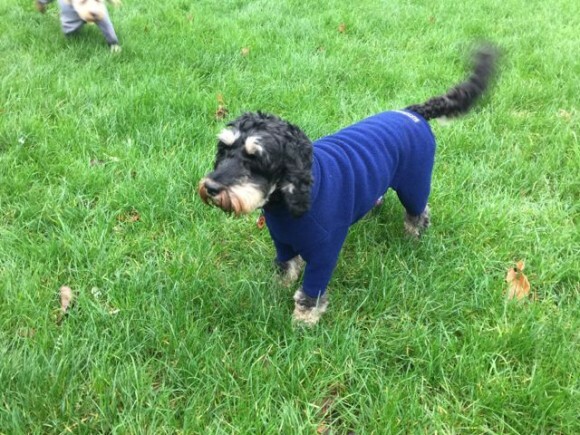 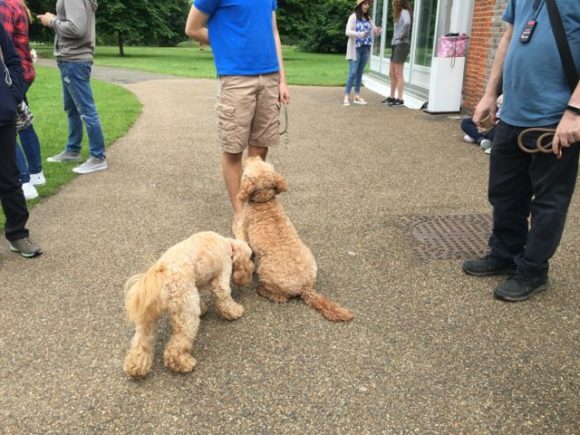 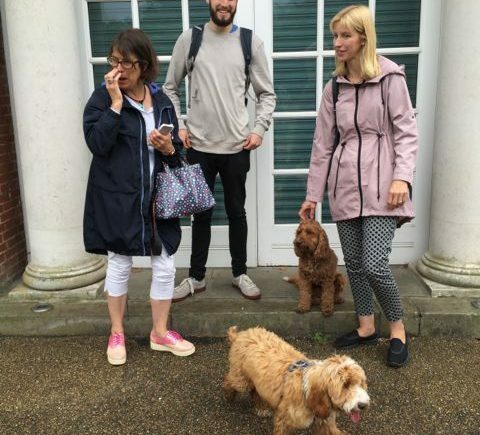 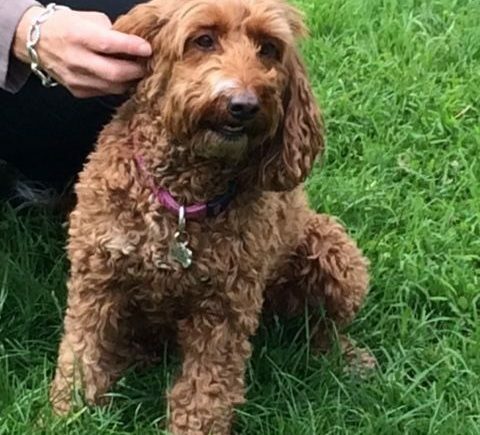 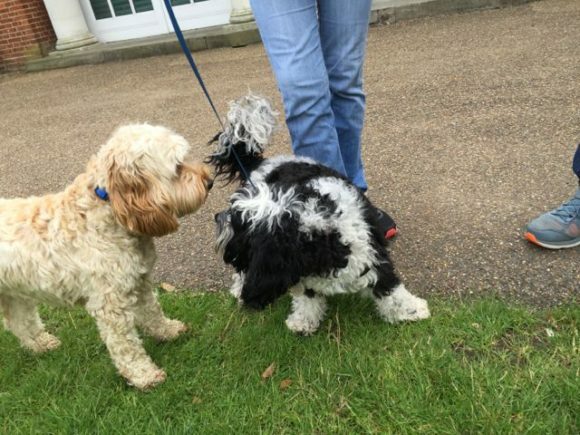 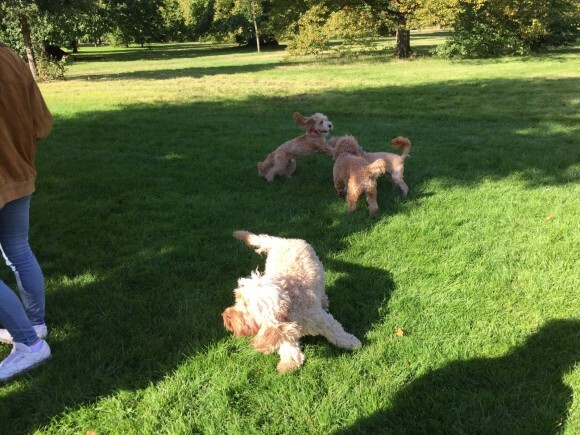 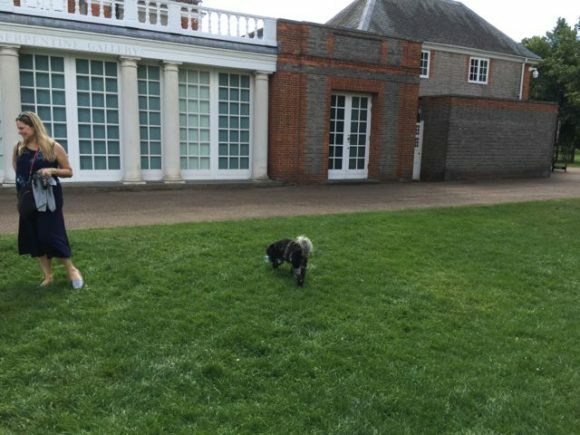 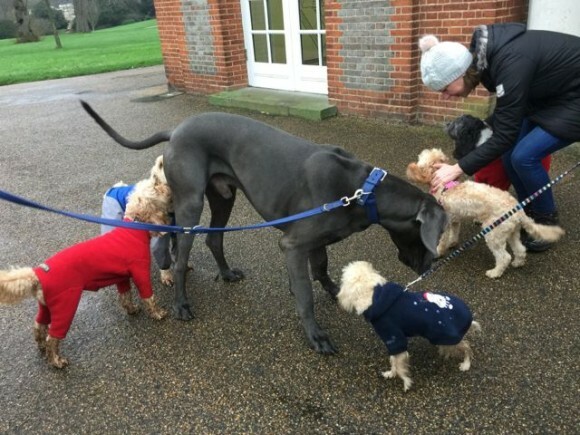 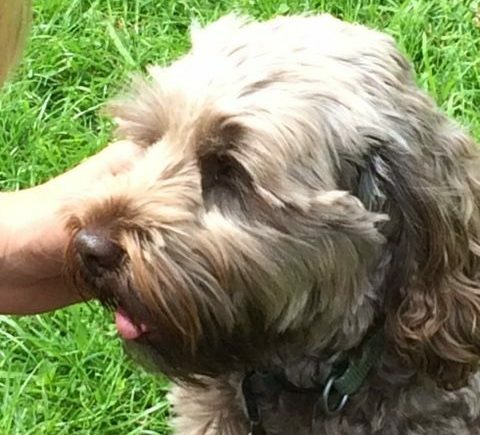 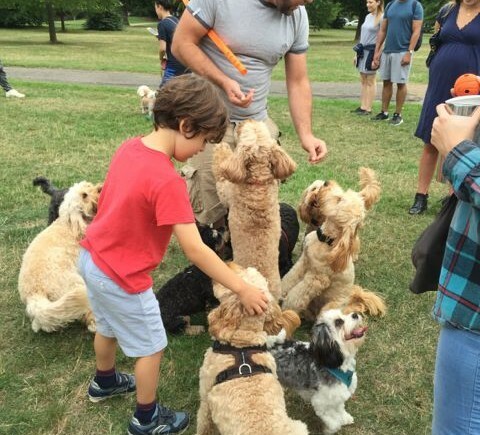 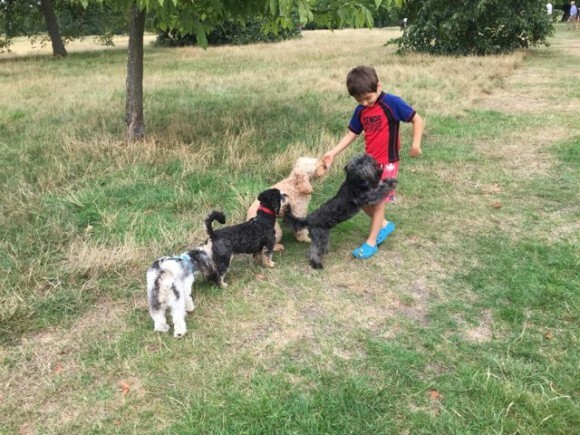 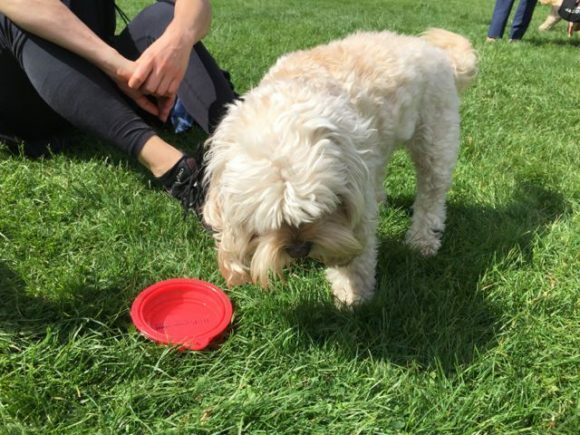 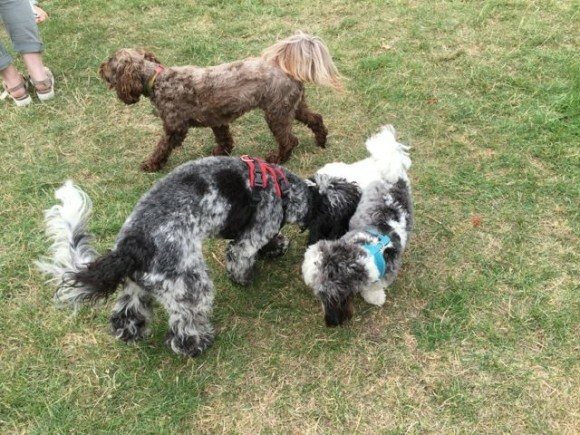 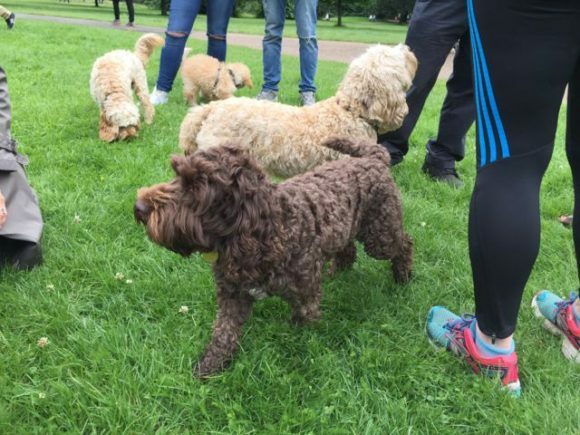 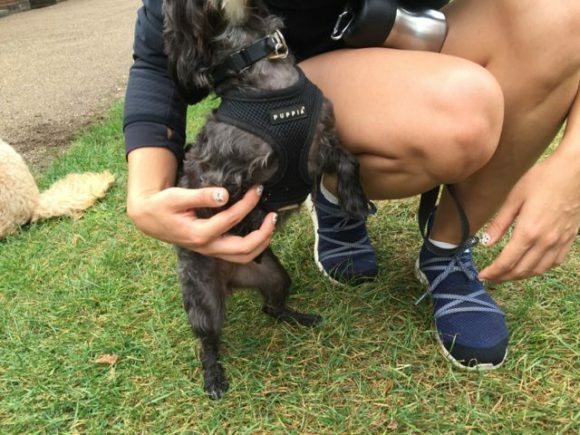 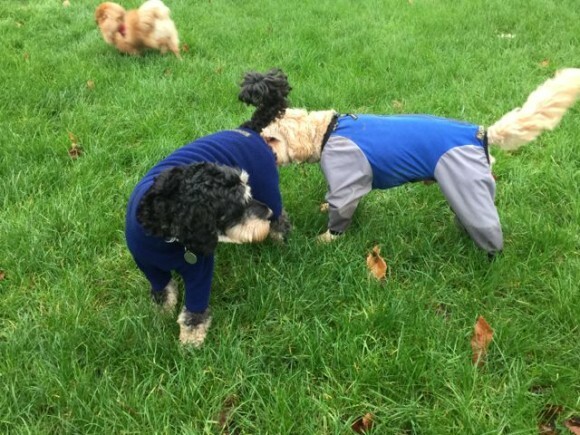 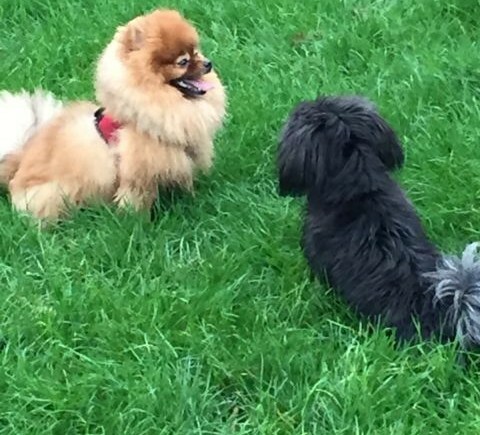 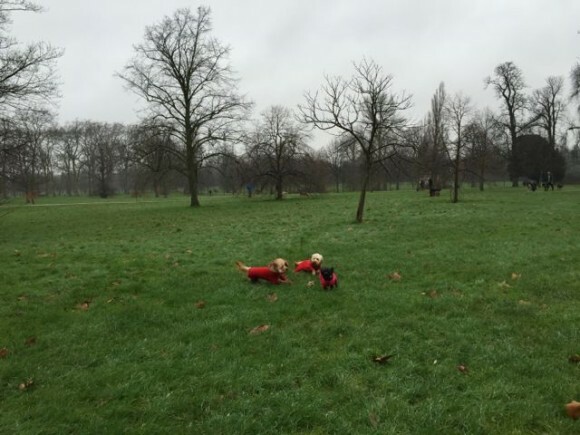 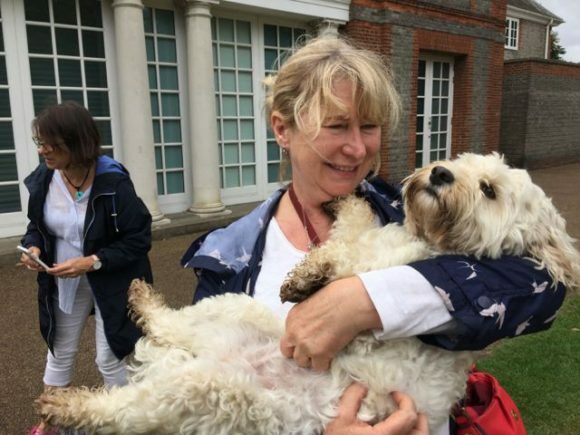 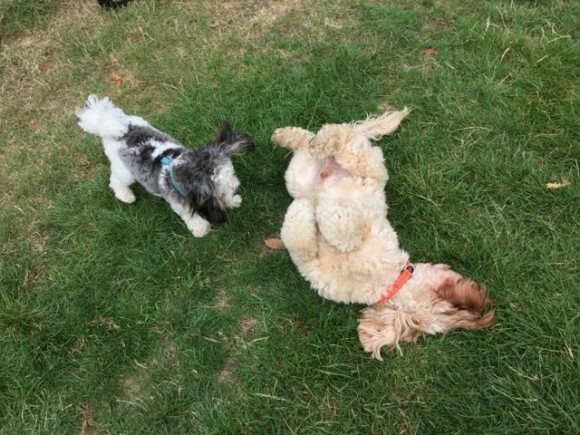 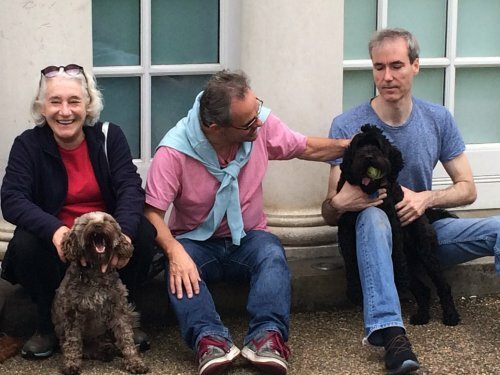 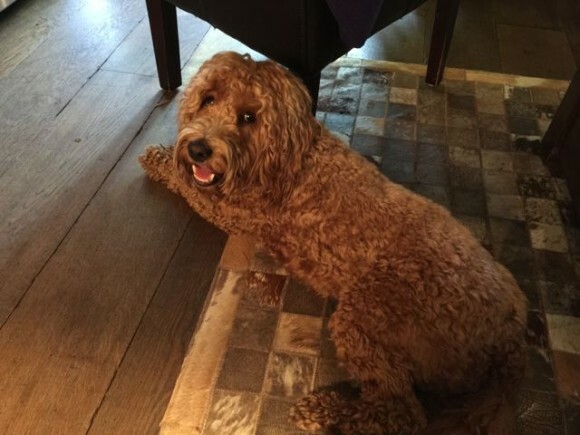 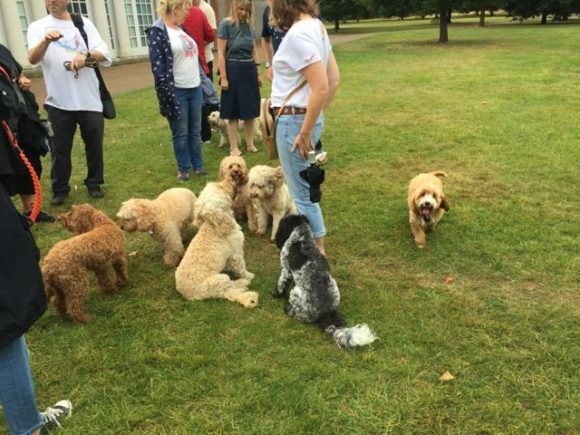 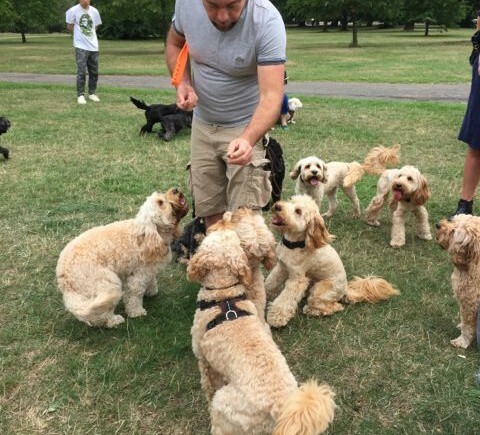 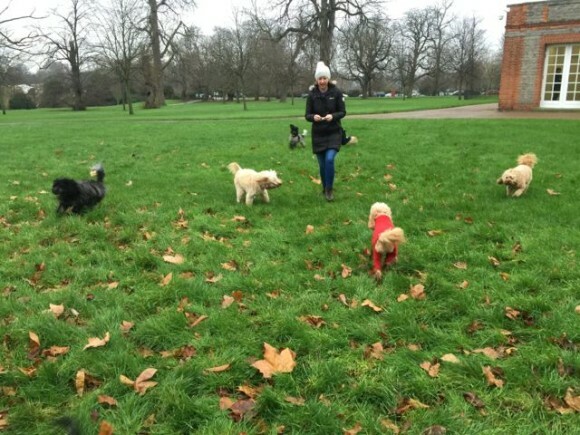 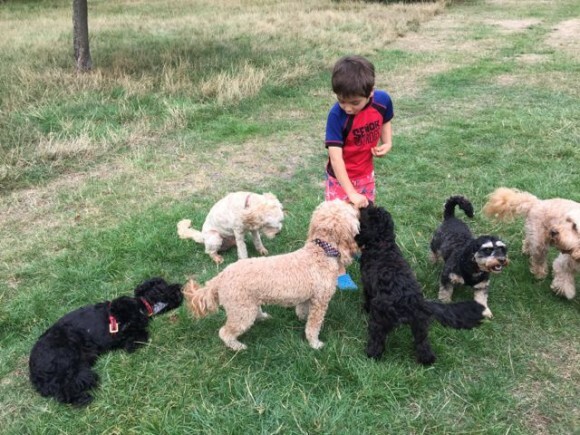 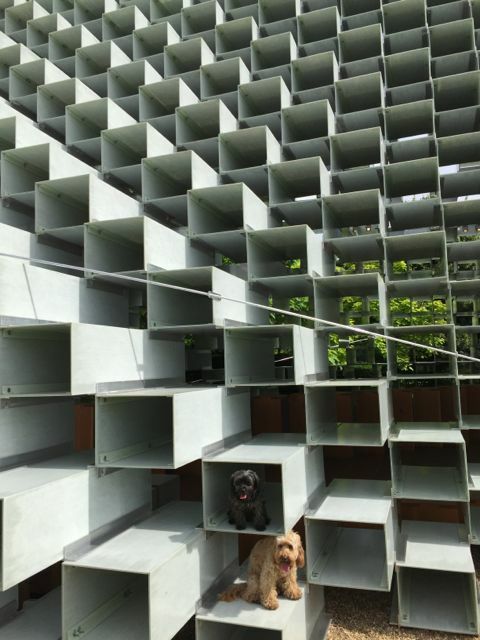 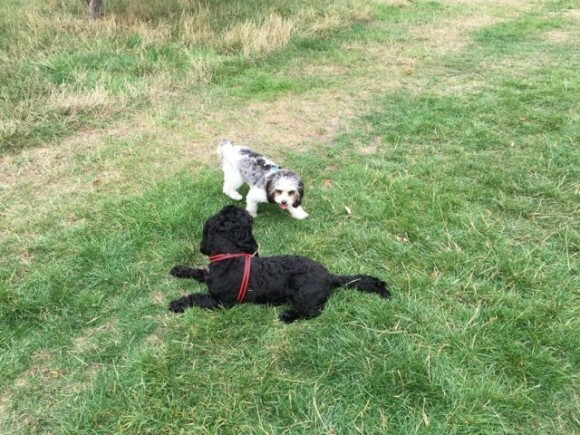 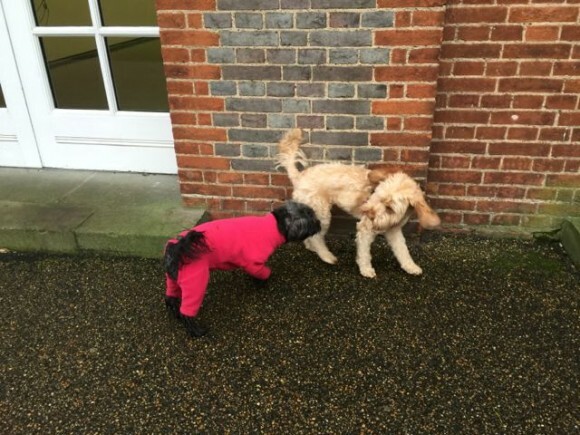 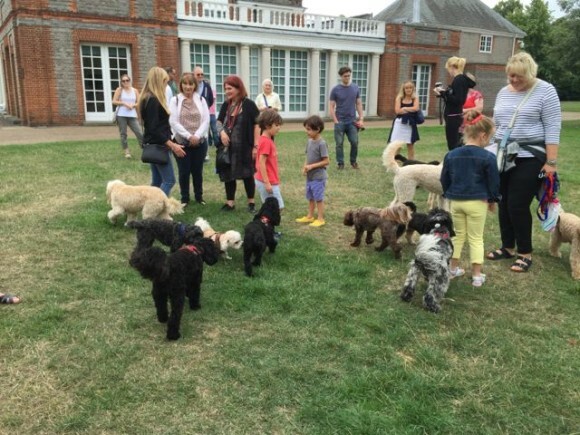 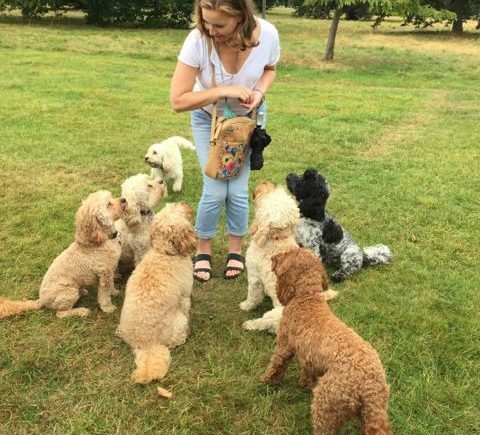 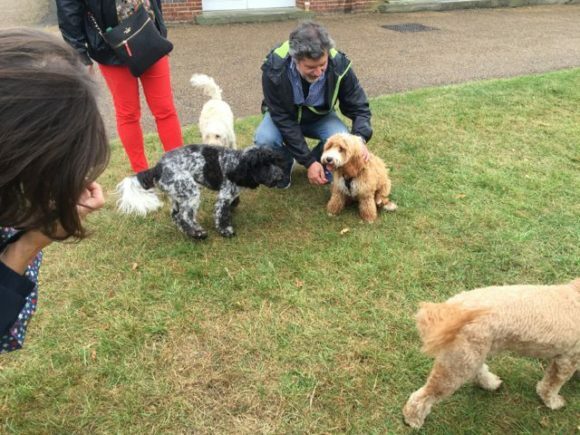 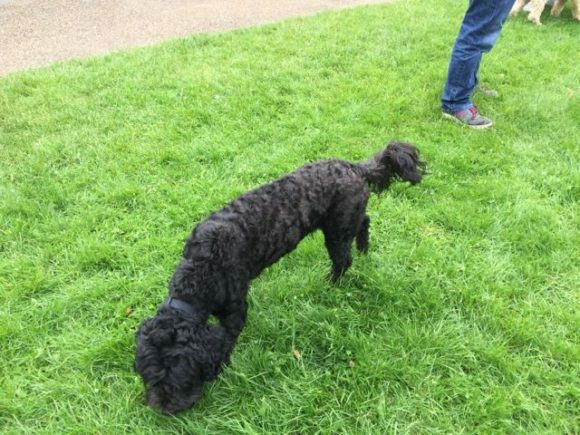 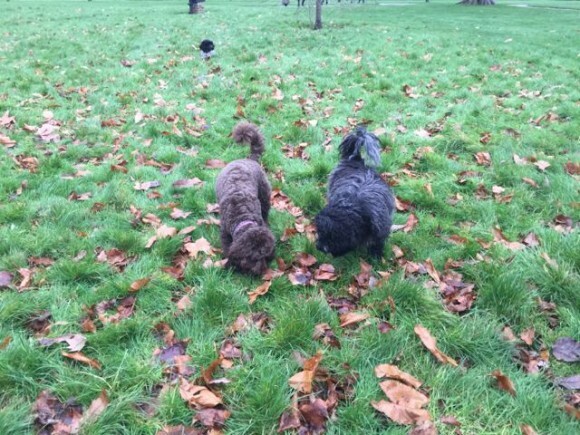 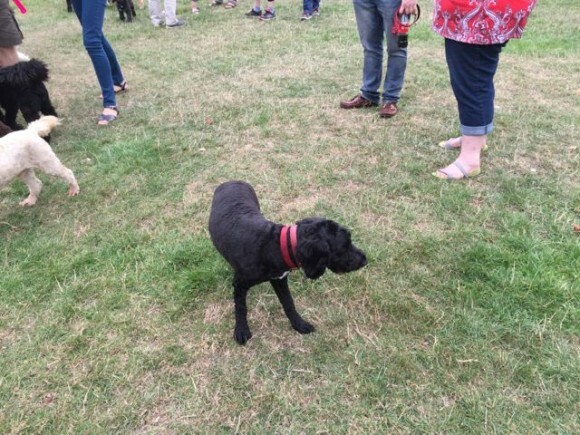 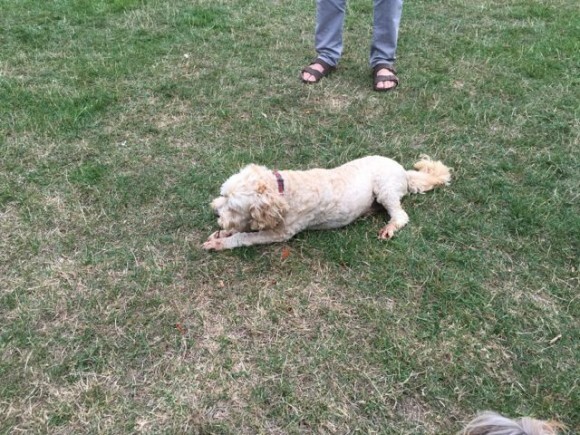 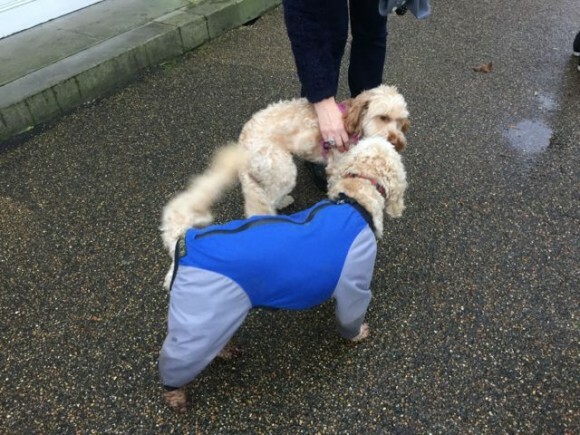 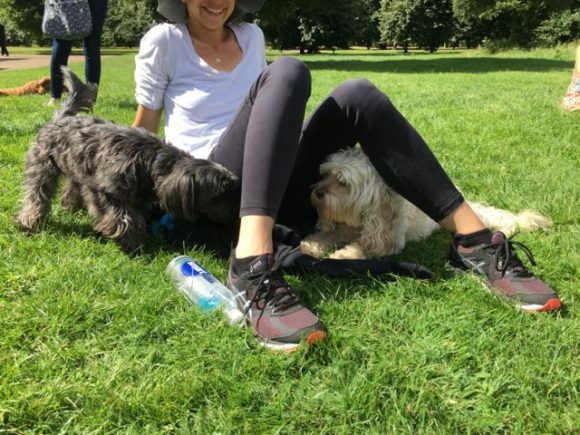 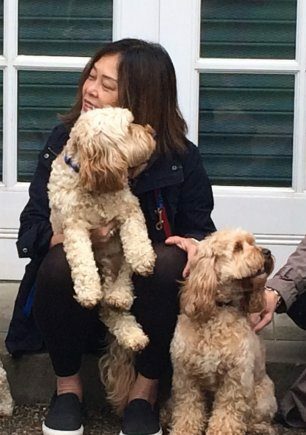 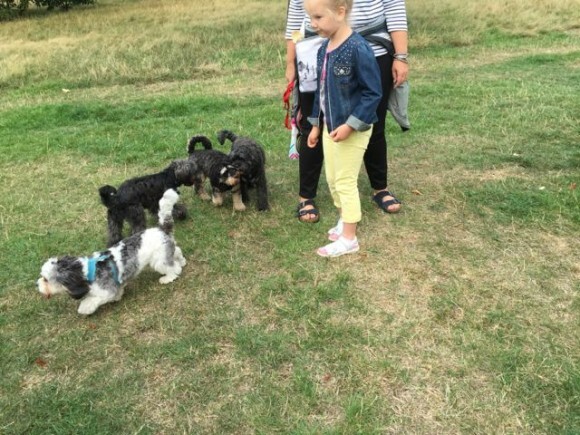 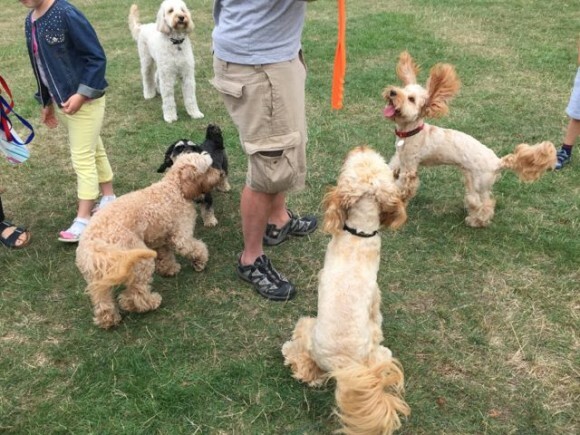 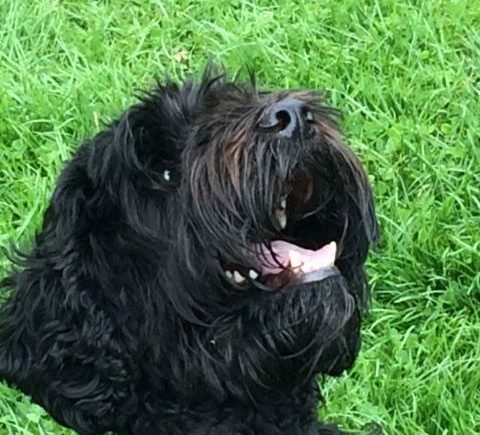 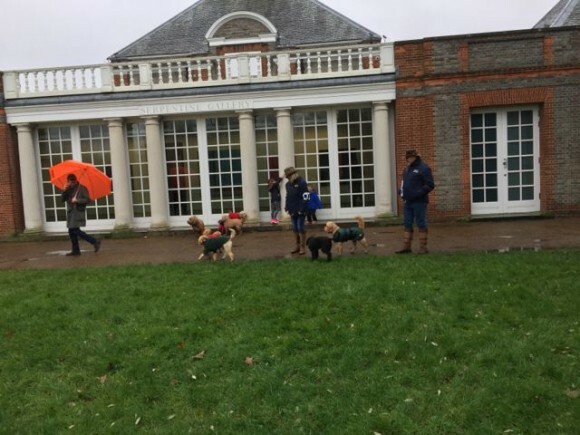 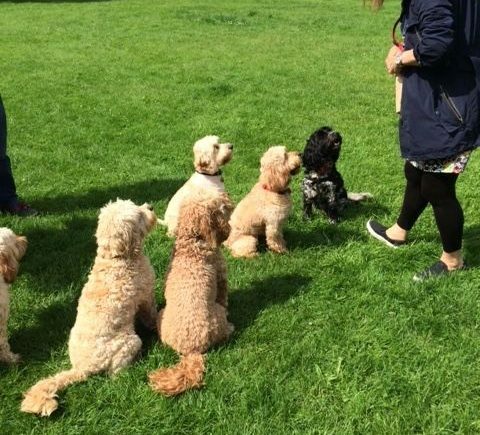 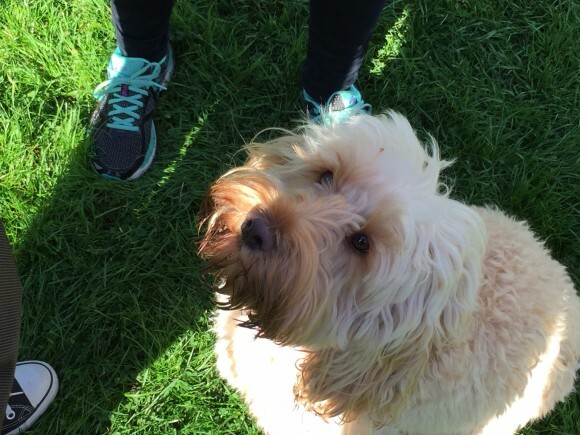 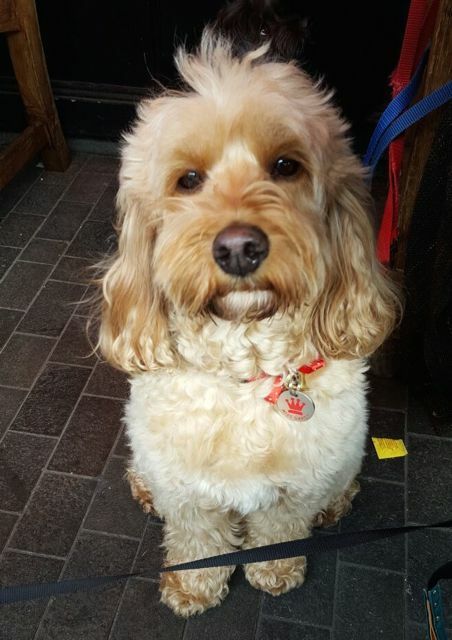 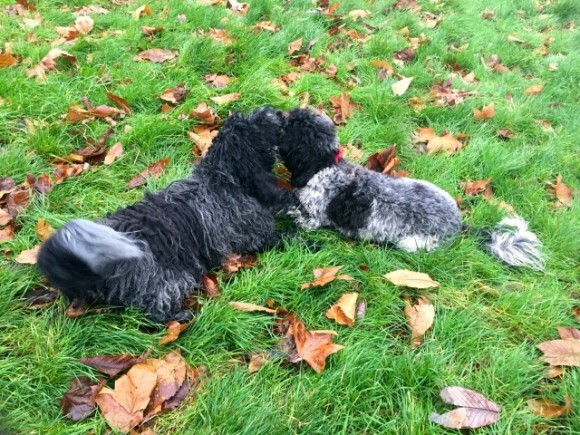 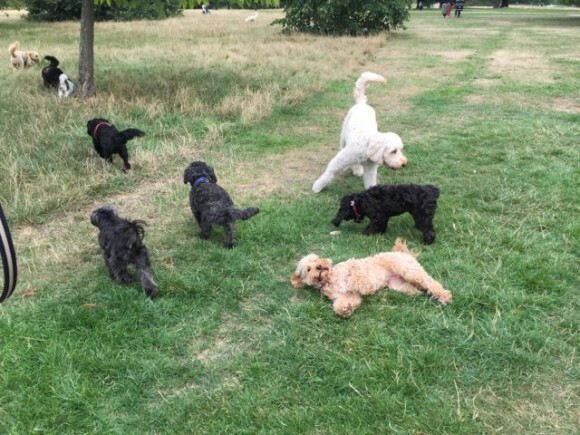 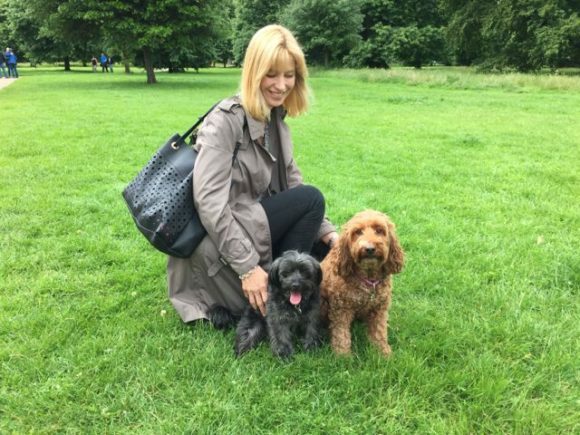 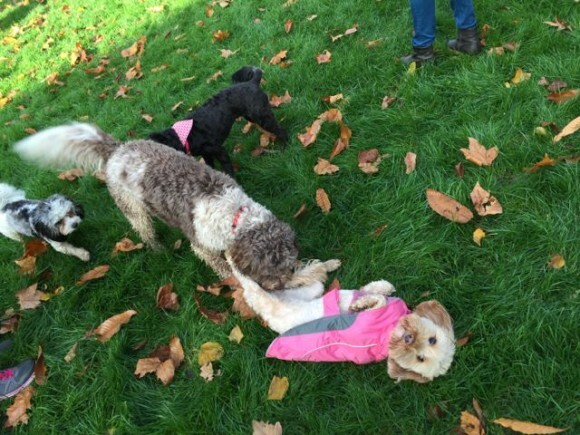 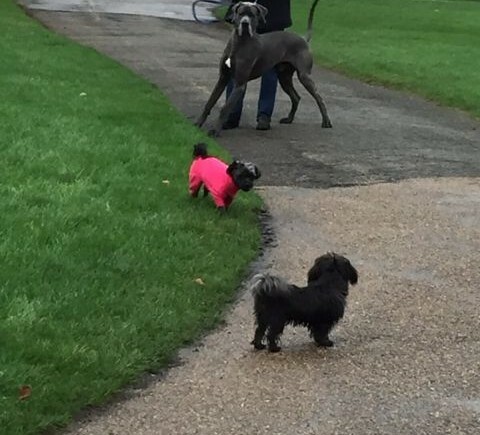 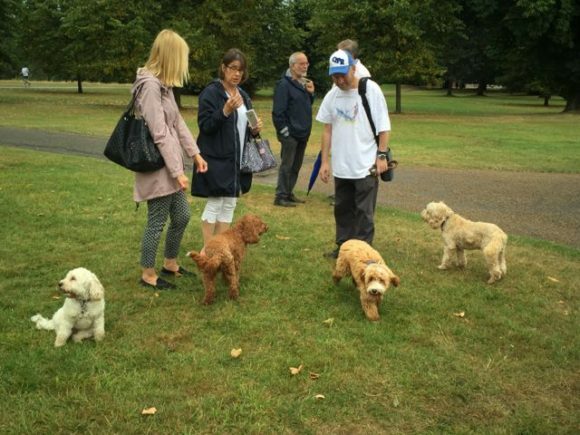 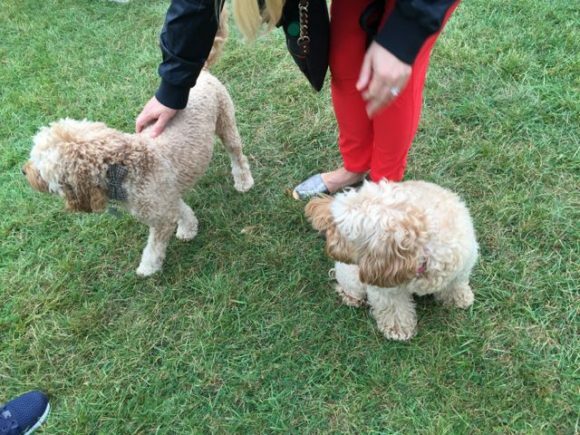 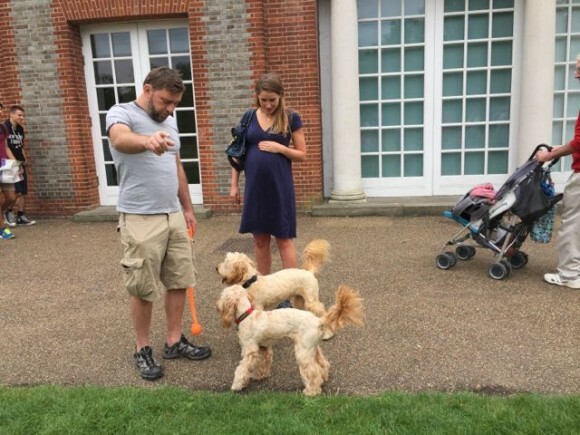 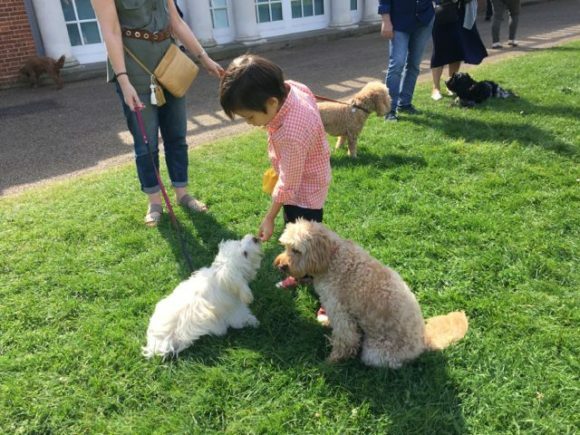 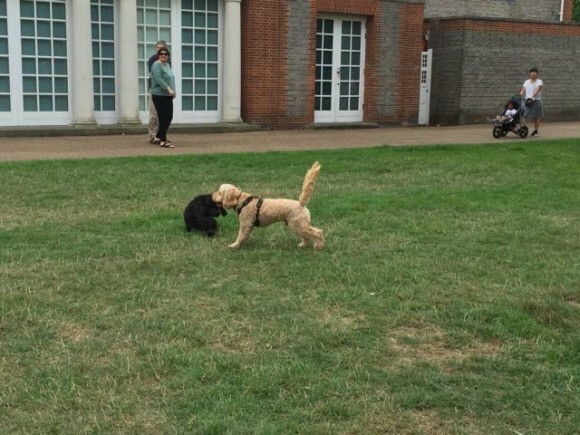 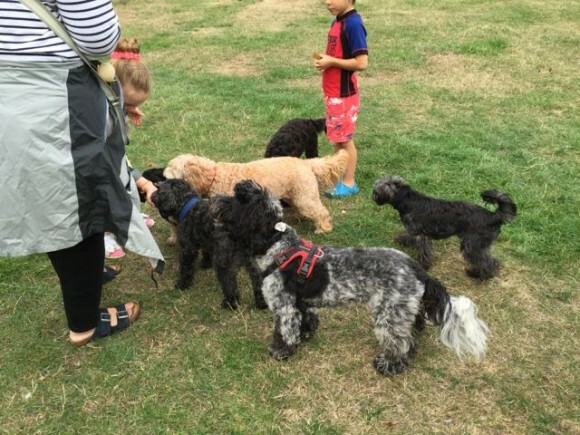 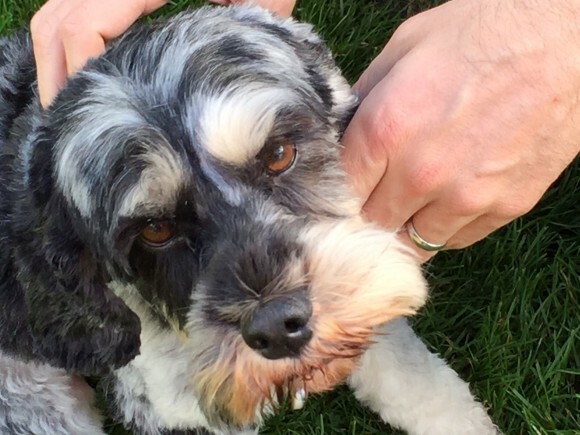 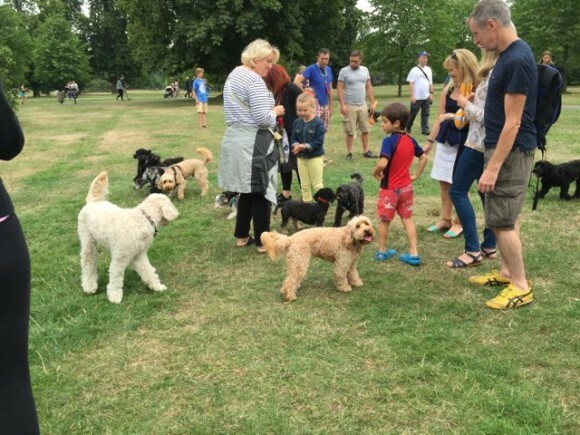 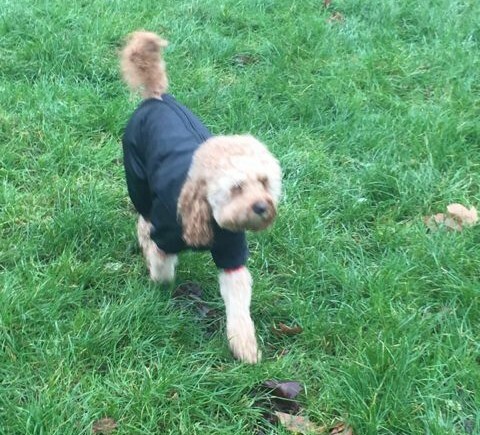 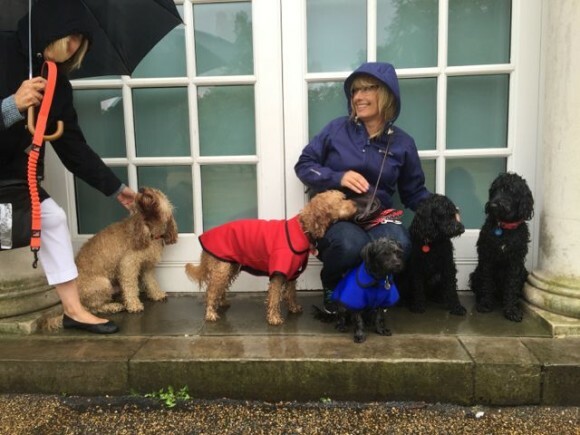 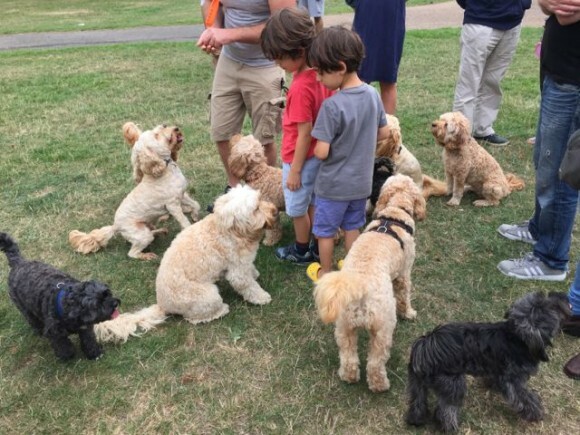 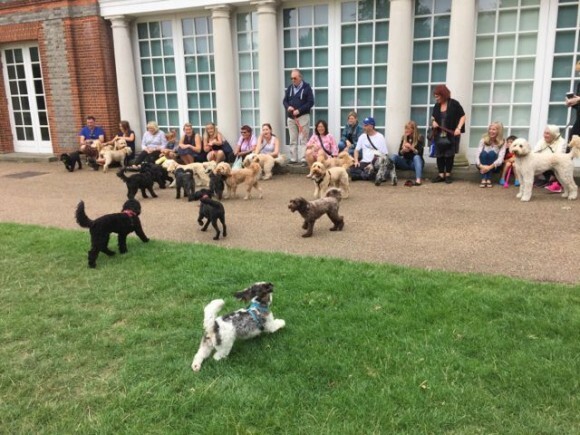 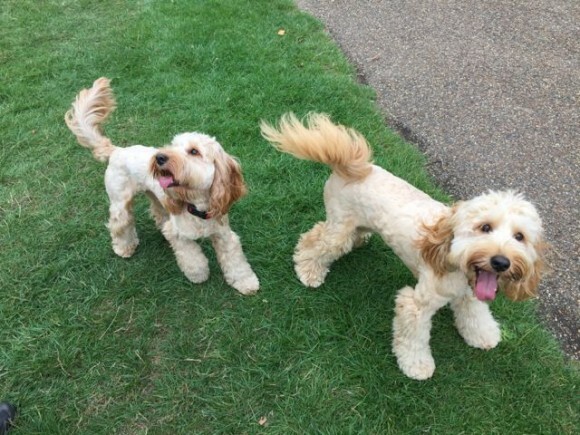 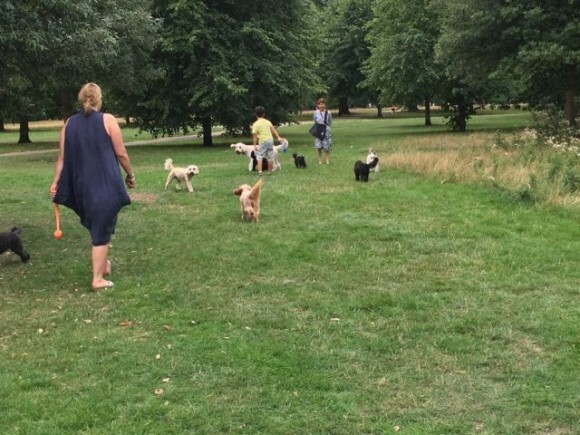 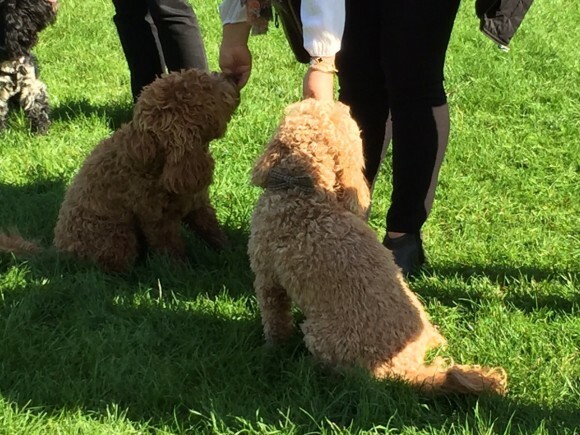 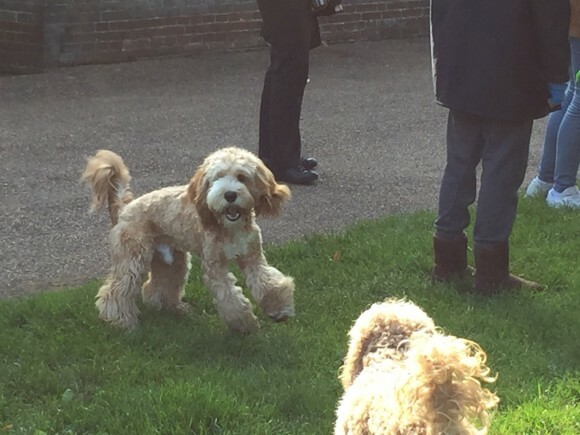 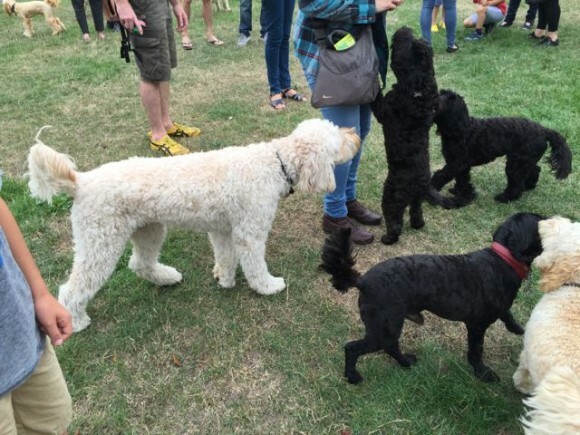 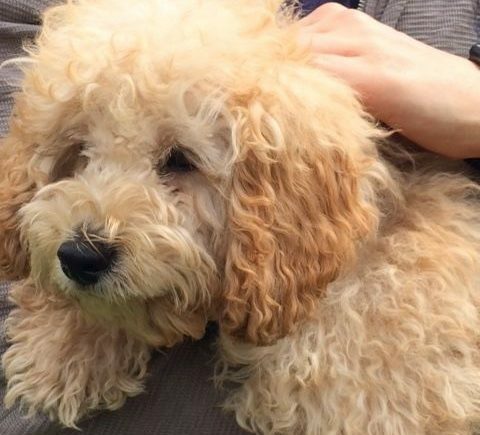 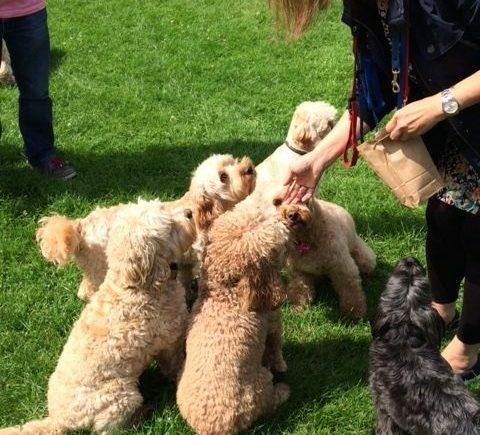 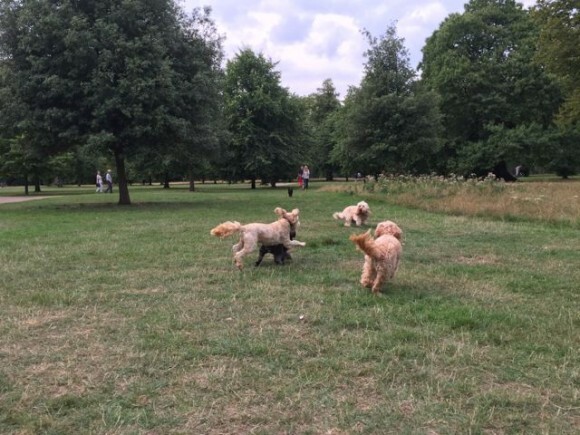 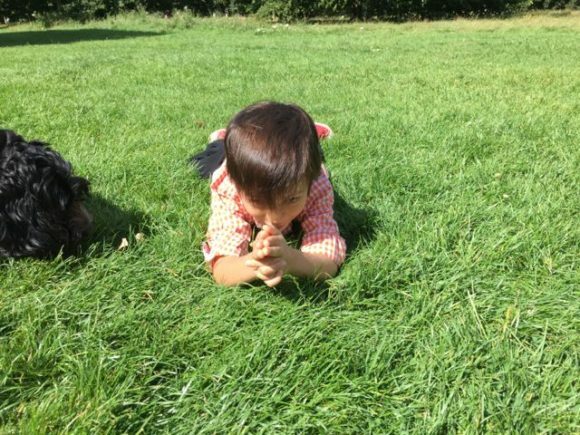 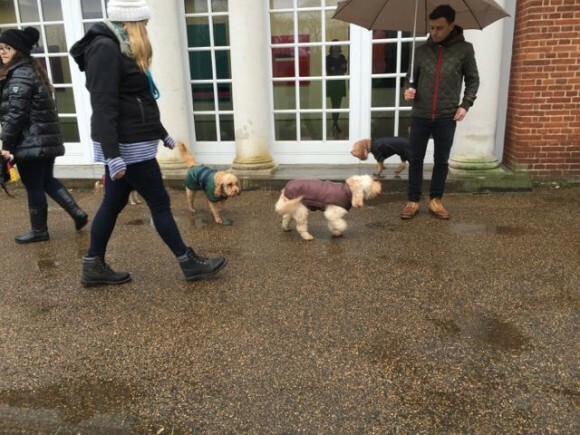 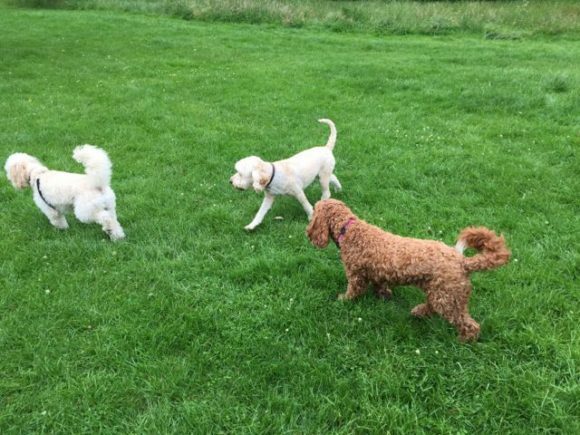 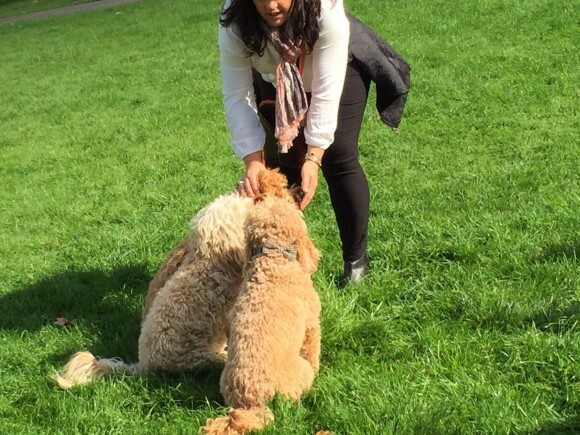 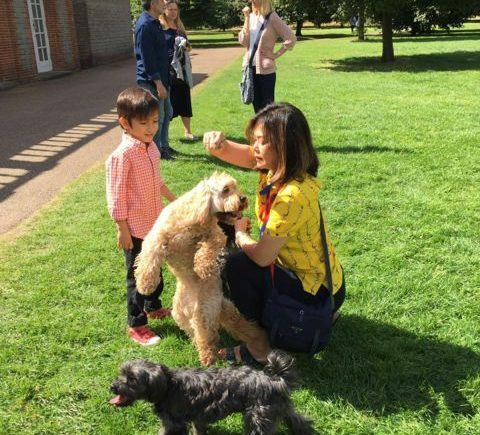 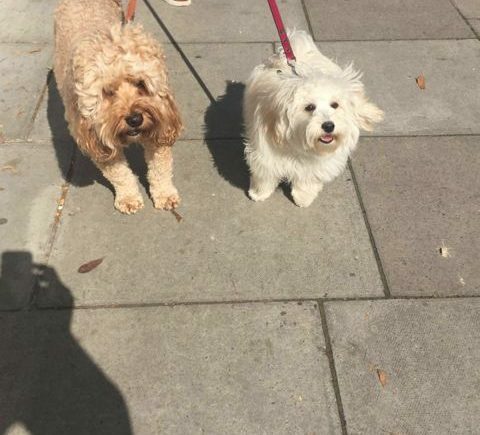 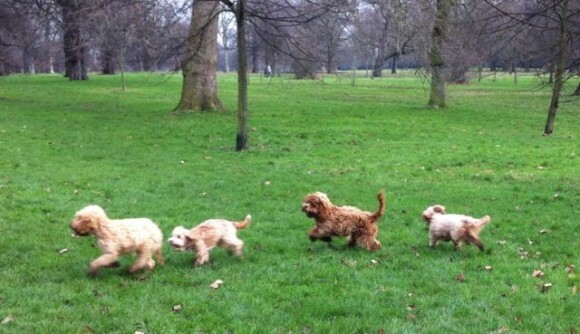 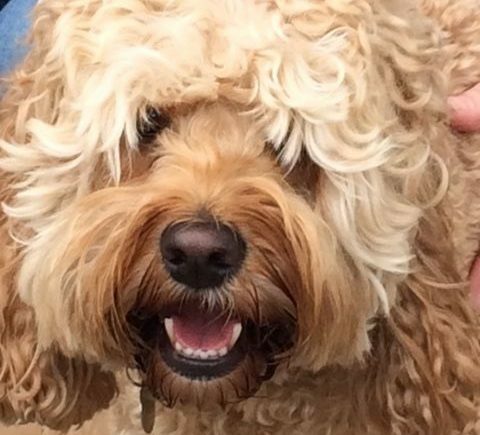 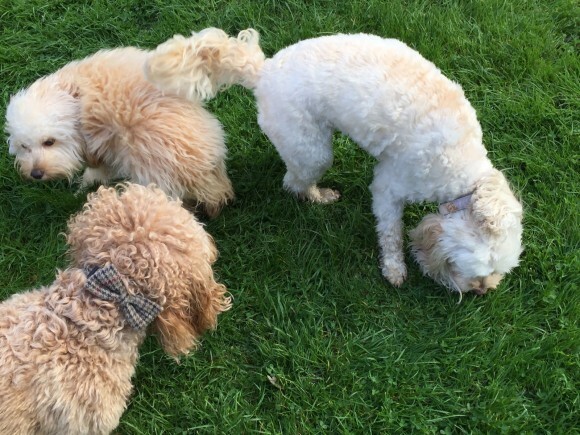 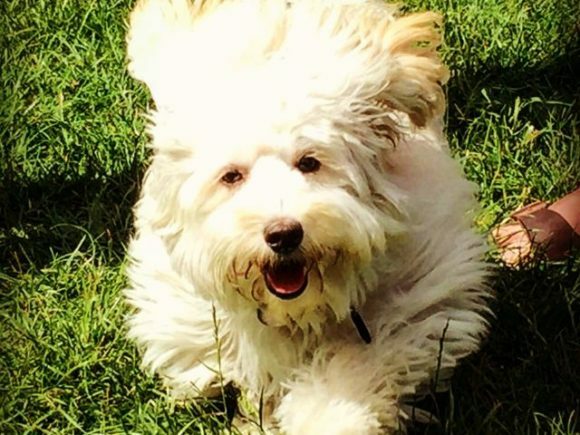 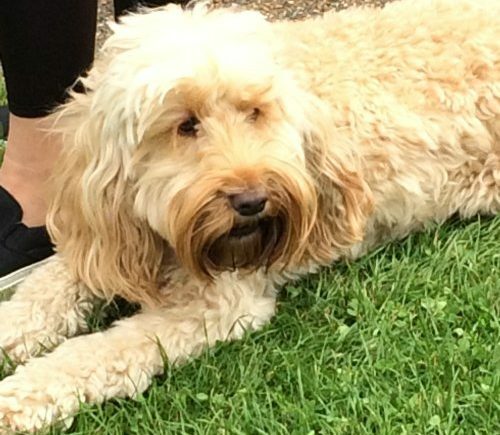 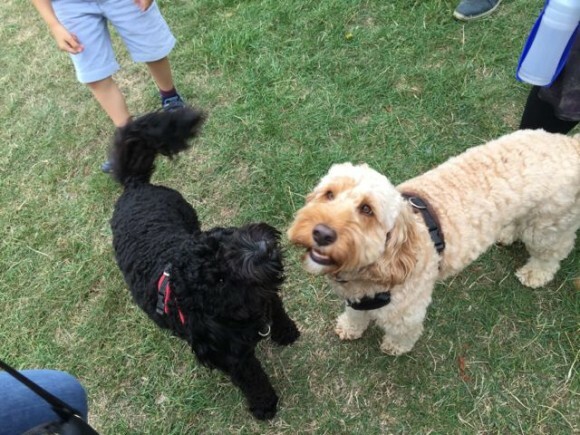 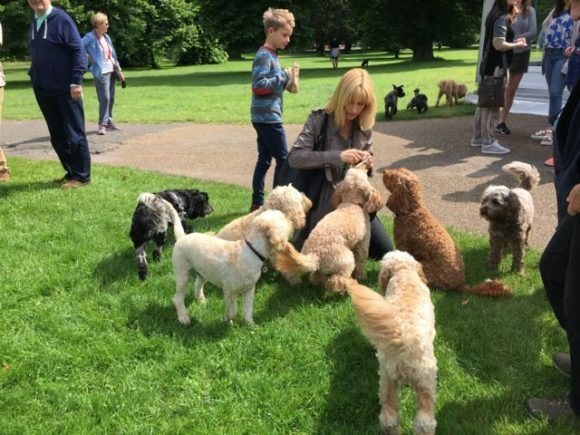 It’s our Hyde Park Doodle meet this coming Sunday – all of us there will run and play and chase each other. 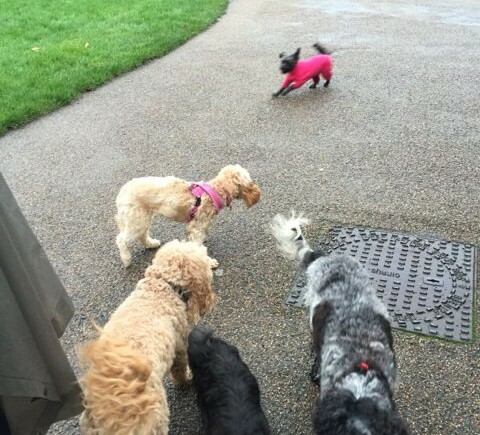 George warding off other dogs! 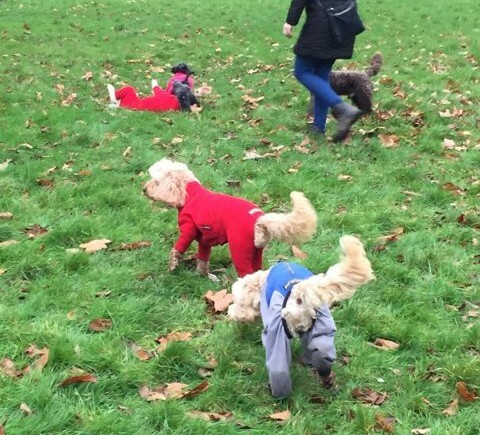 Not one os us, but the humans had a good laugh! 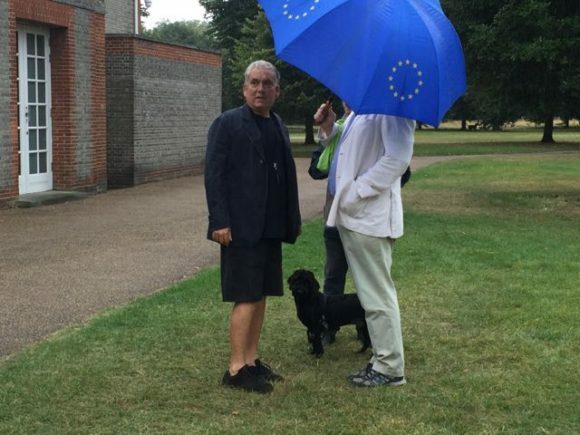 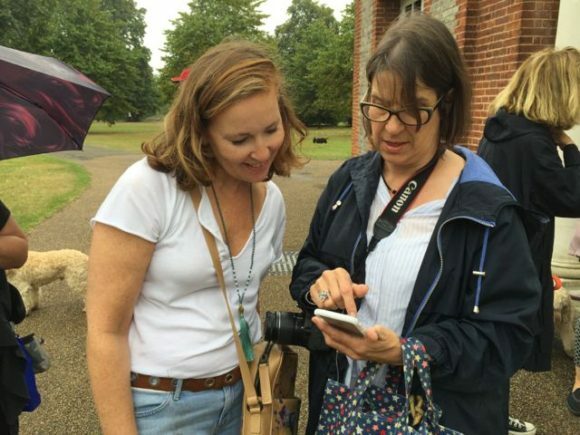 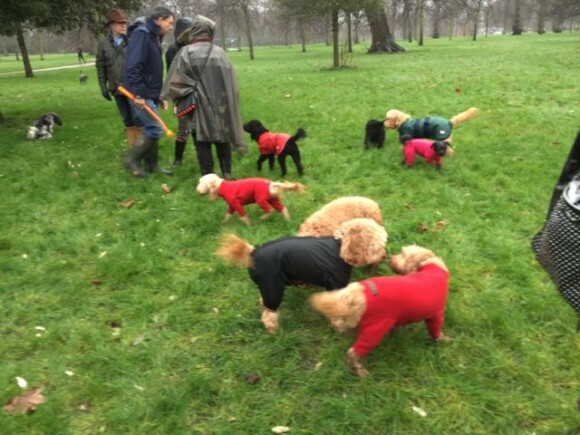 First (wet) Hyde Park Doodle Meet of the year! 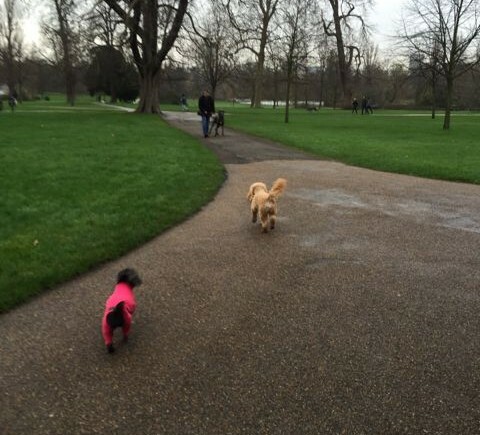 Walking off the Christmas Pudding! 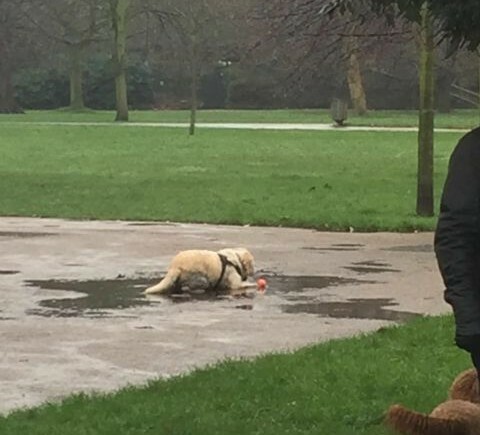 When you have eaten all your mince pies and Christmas puddings. 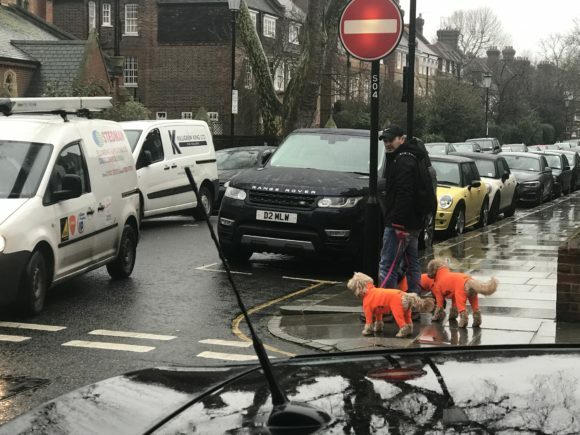 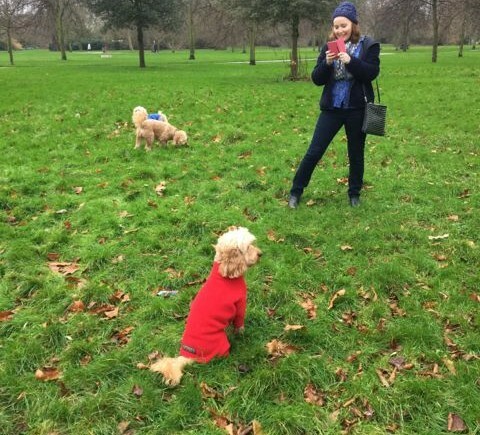 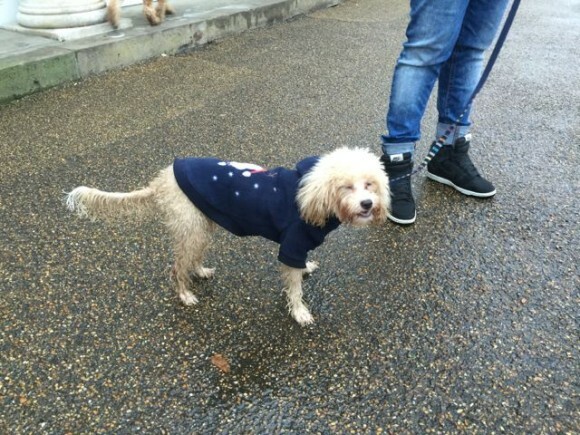 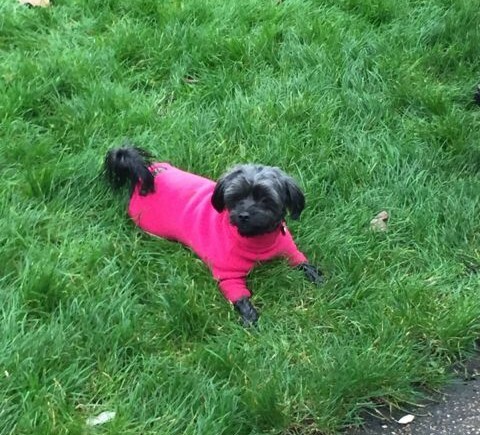 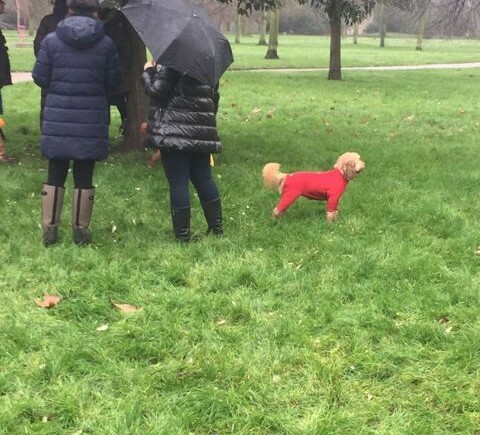 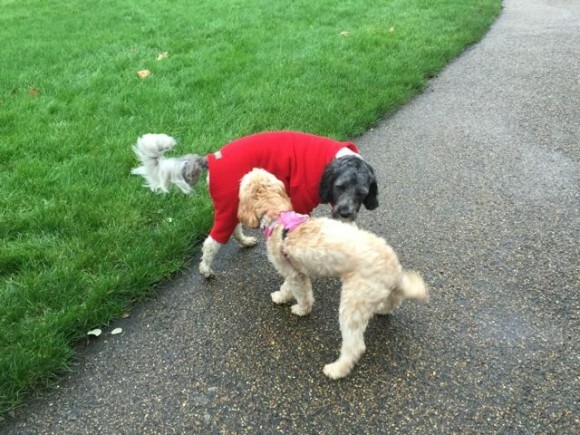 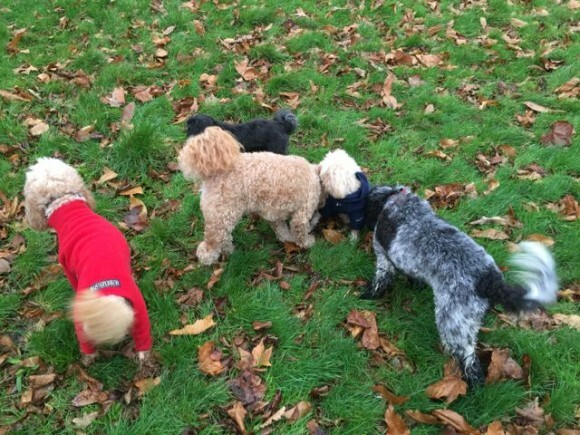 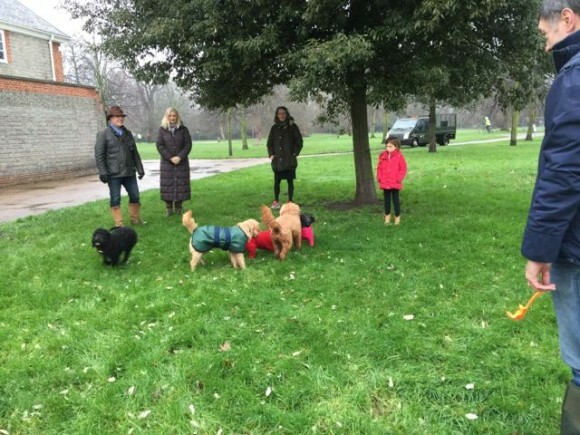 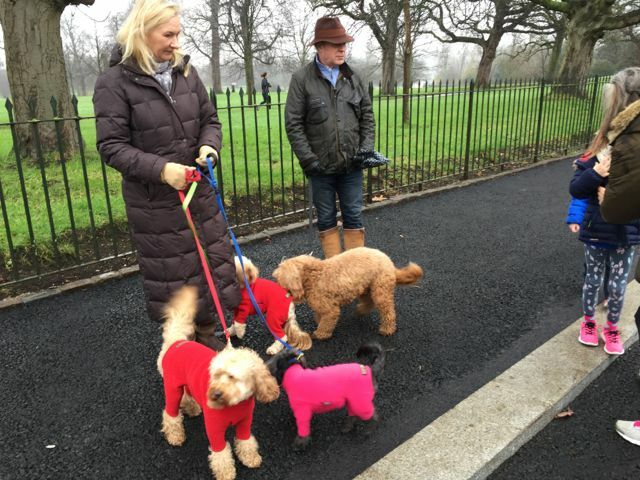 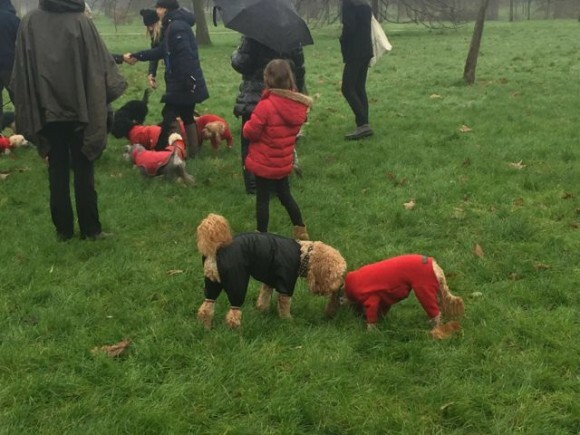 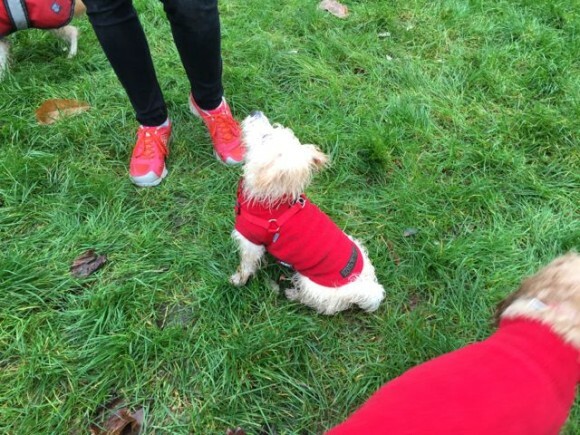 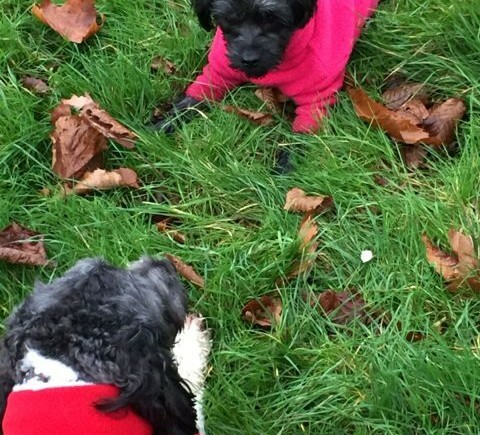 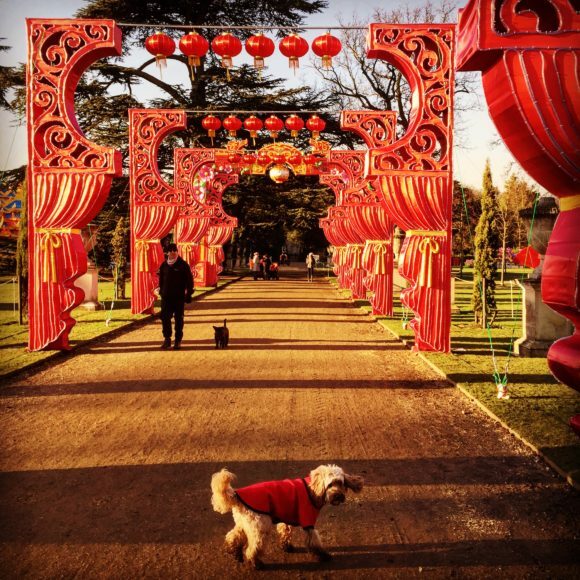 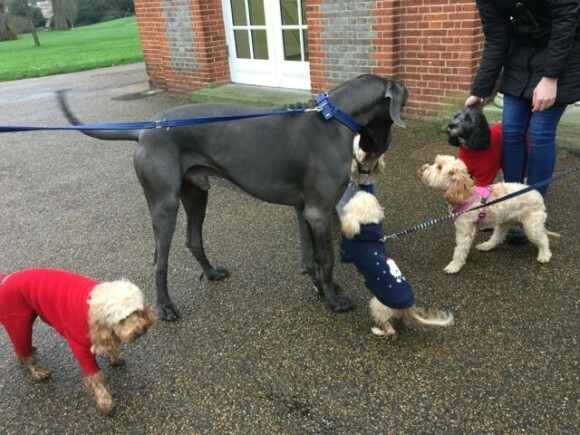 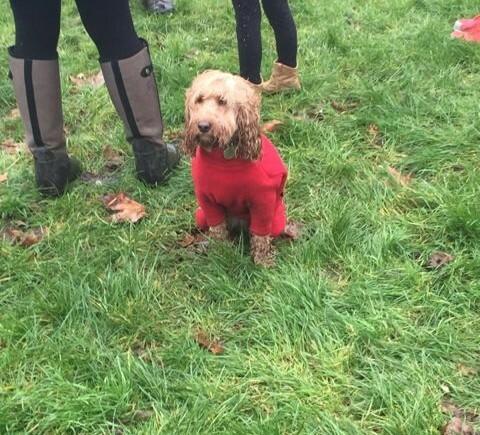 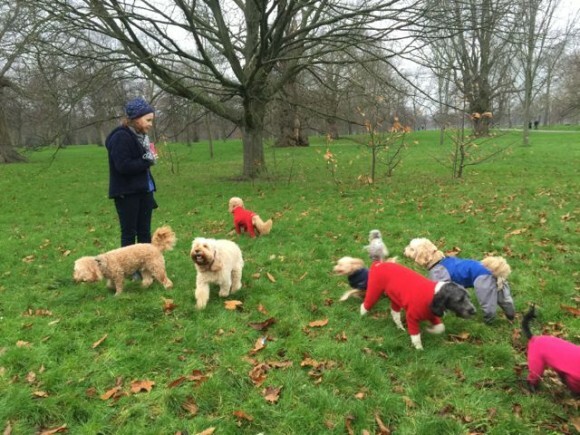 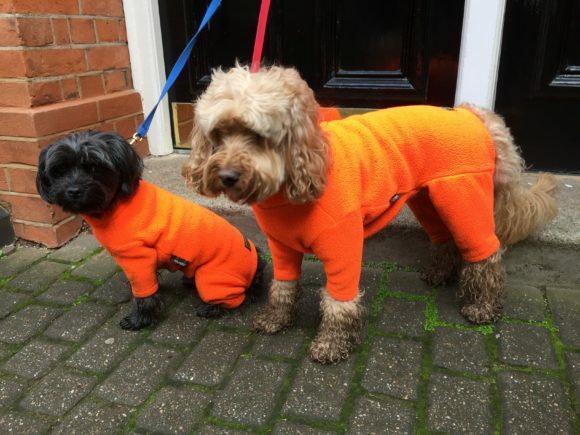 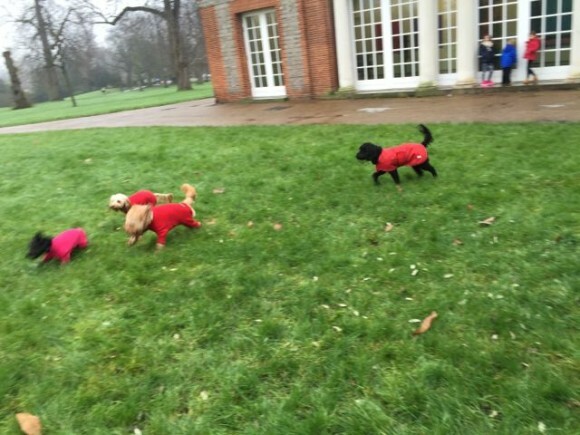 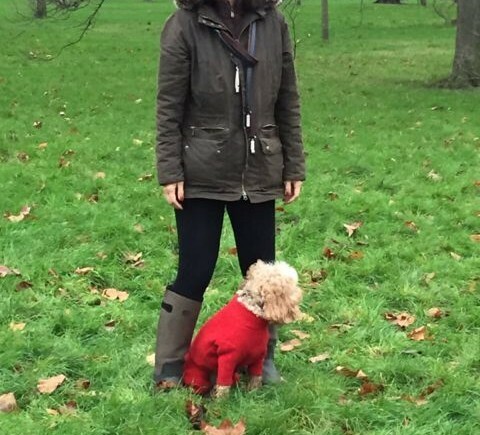 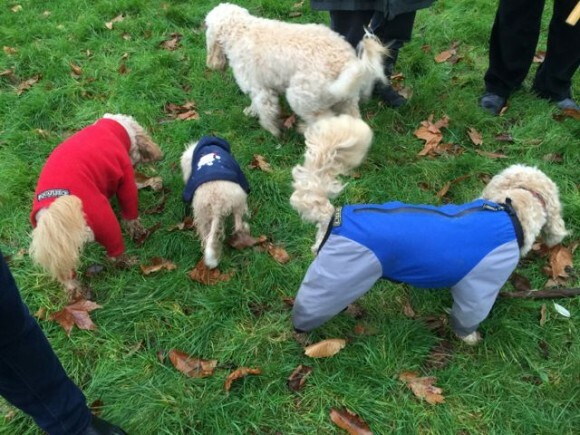 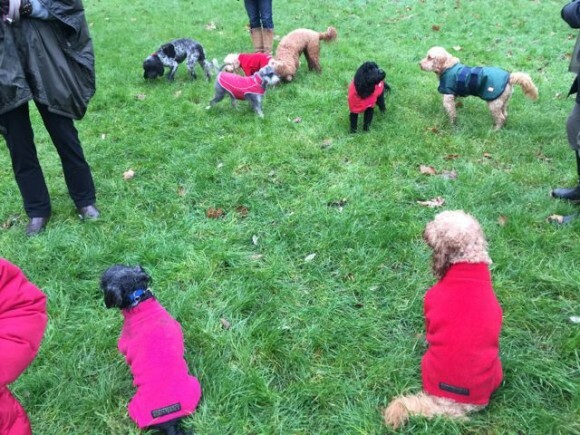 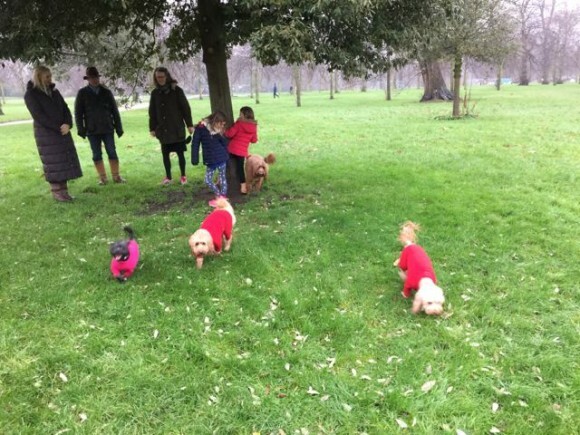 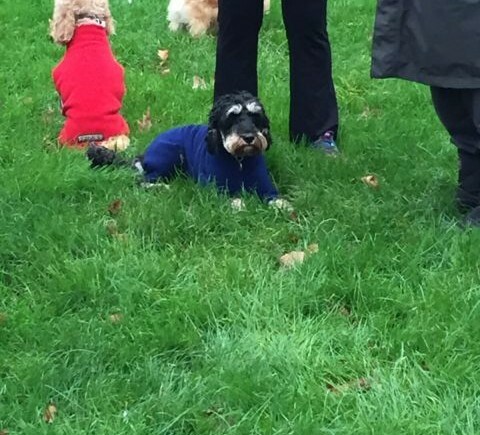 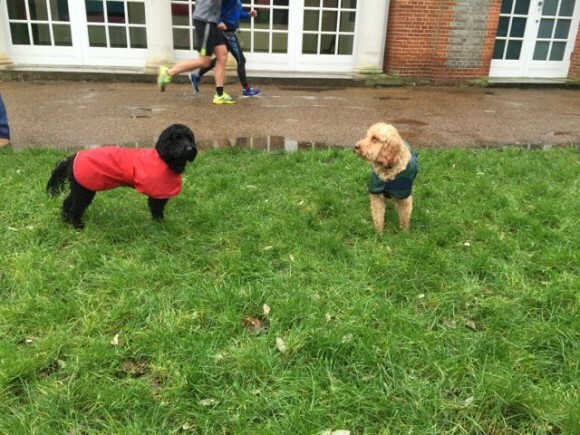 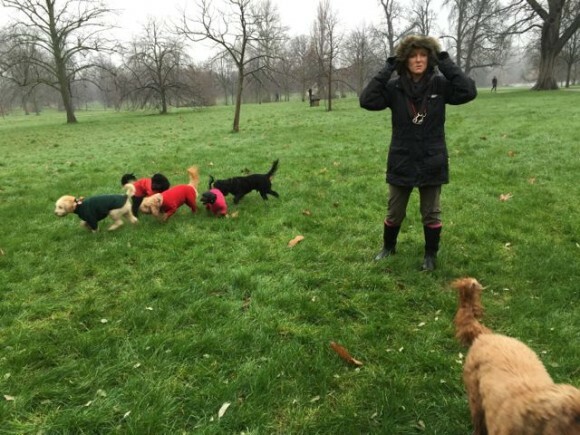 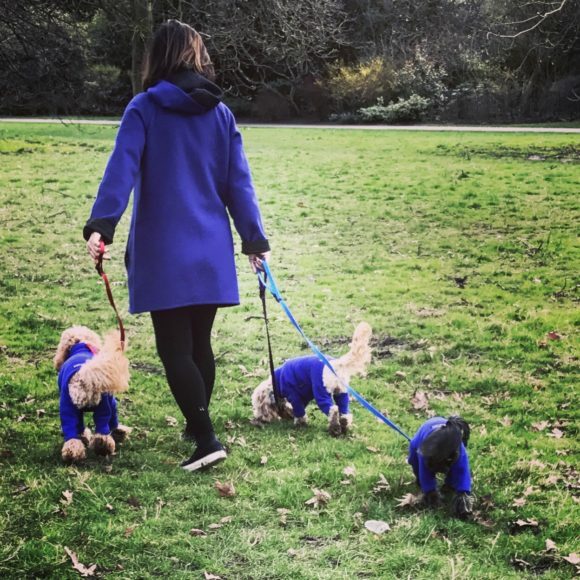 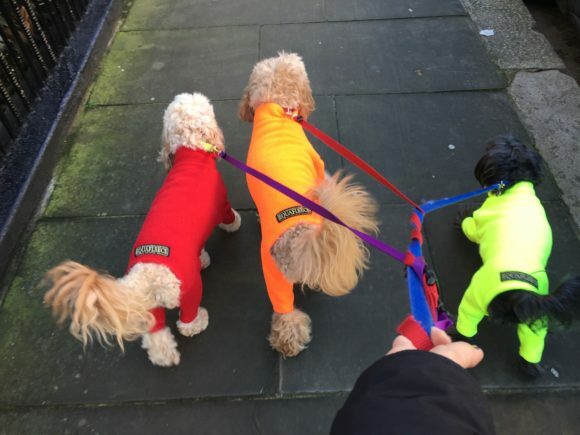 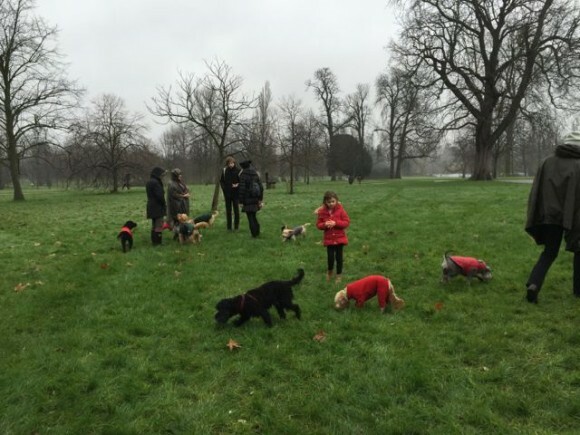 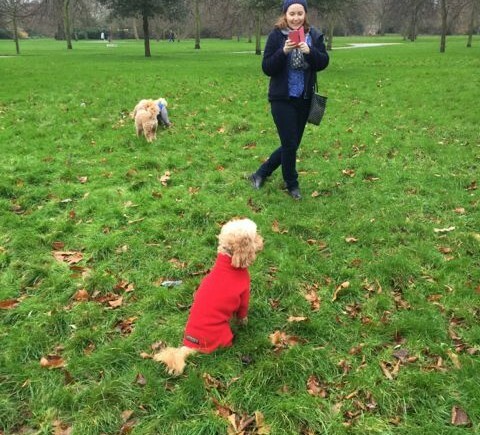 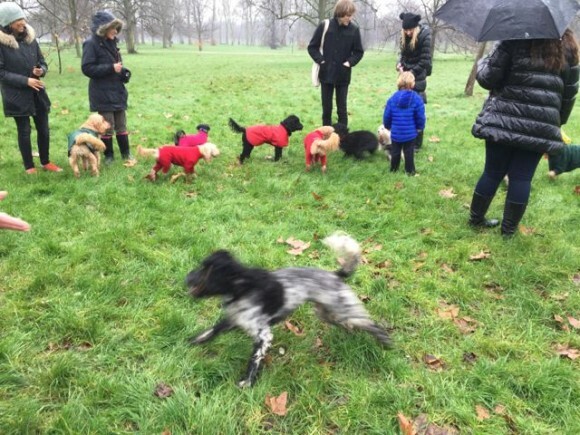 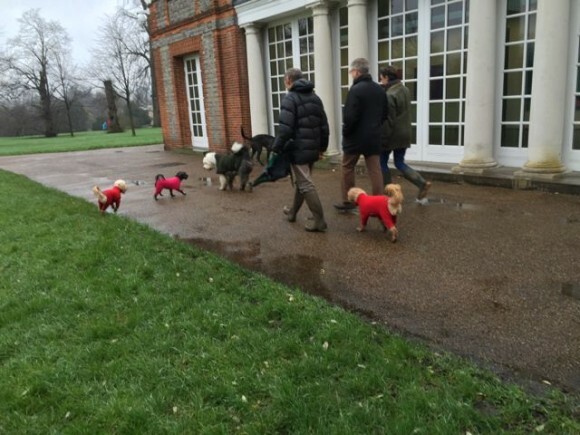 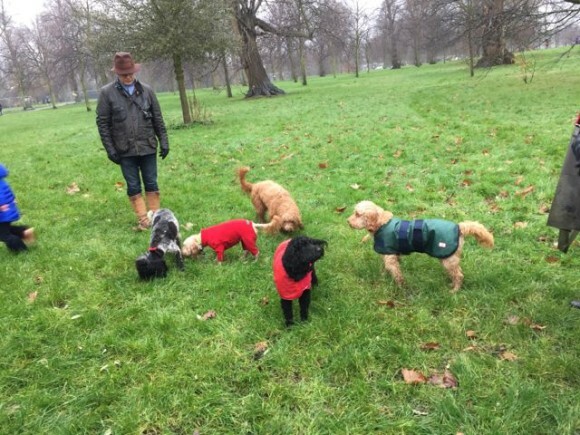 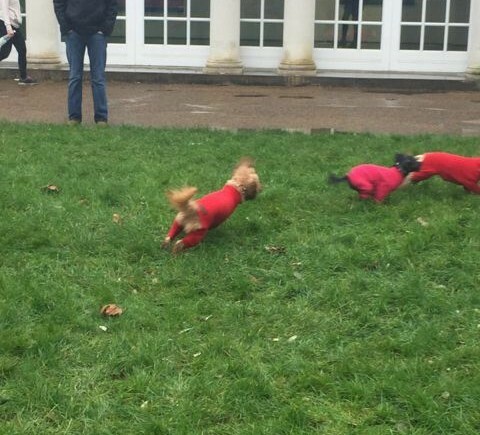 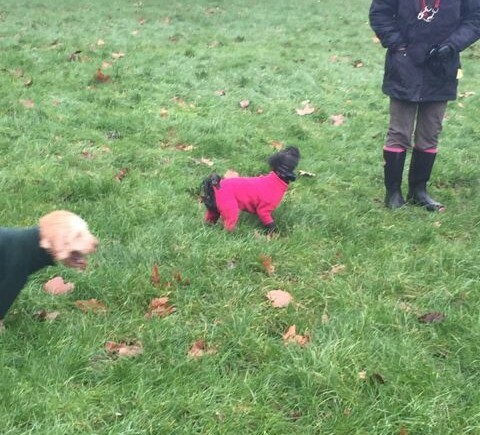 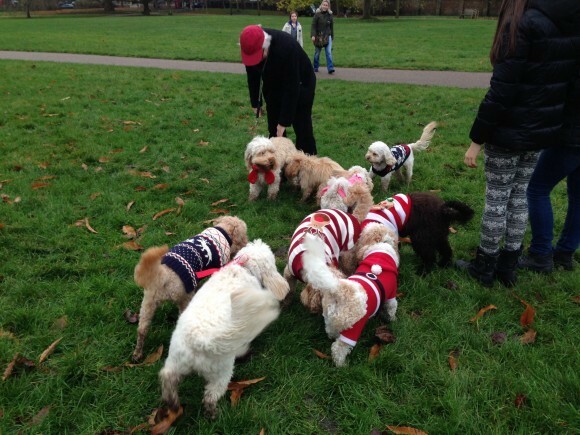 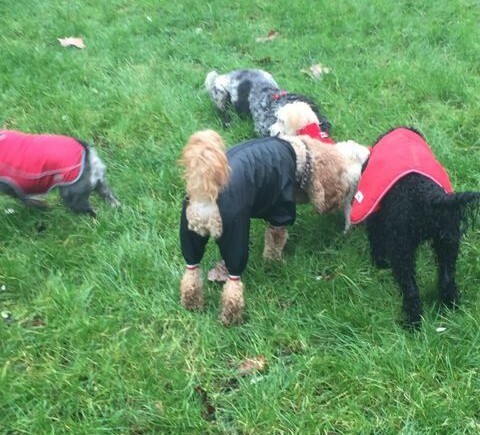 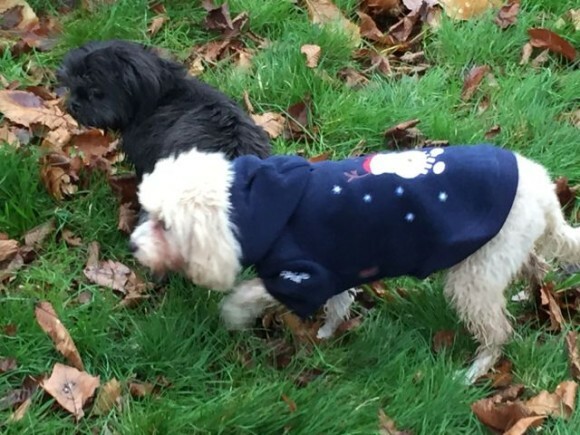 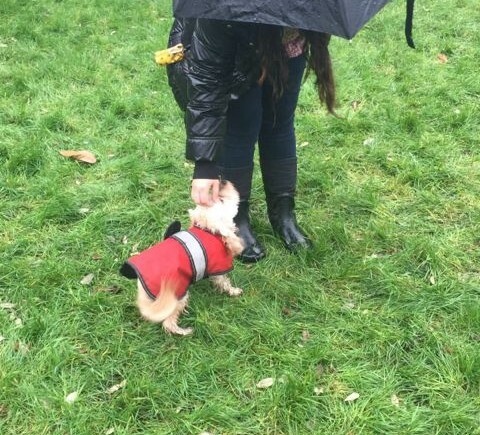 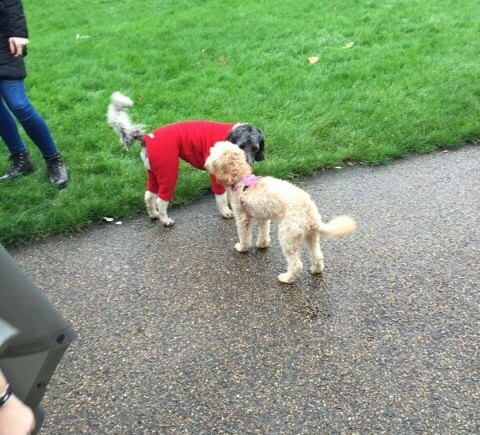 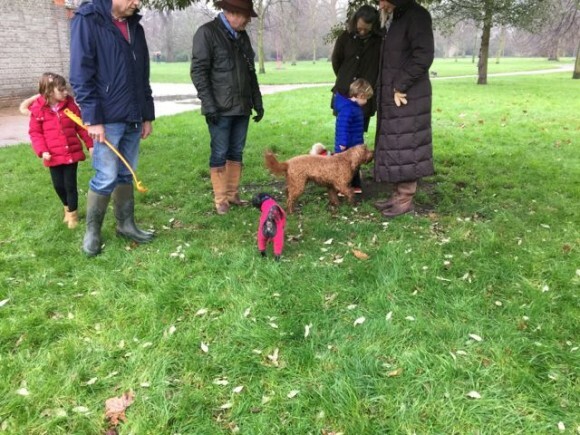 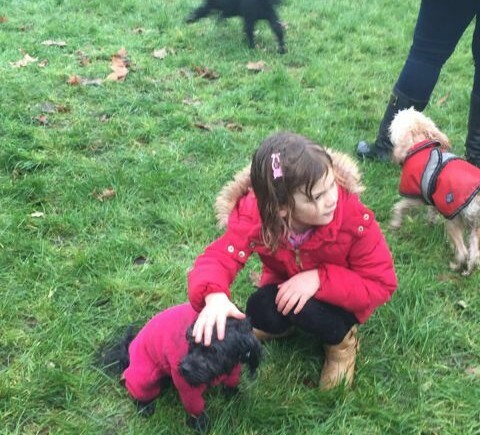 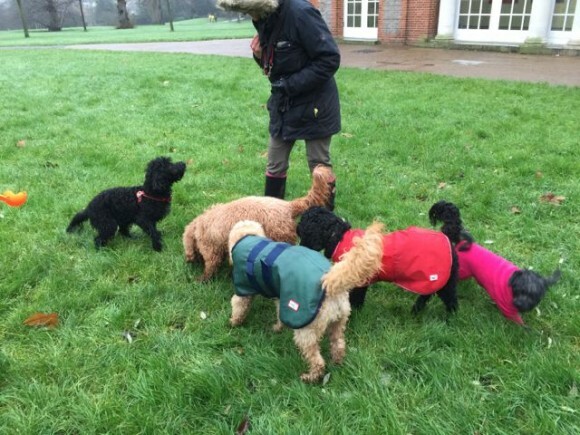 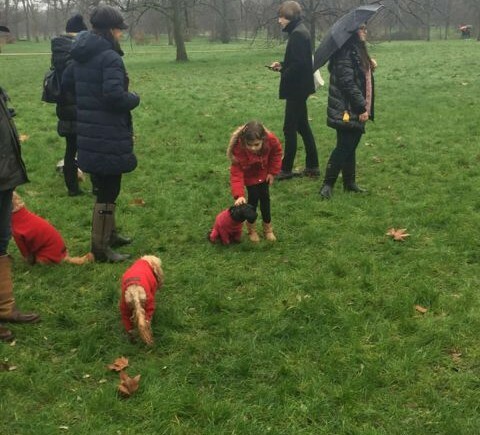 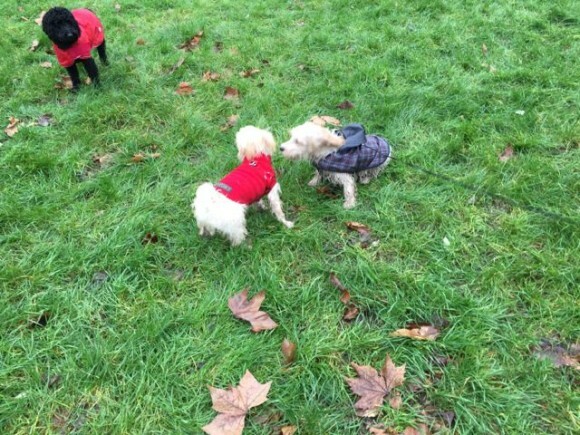 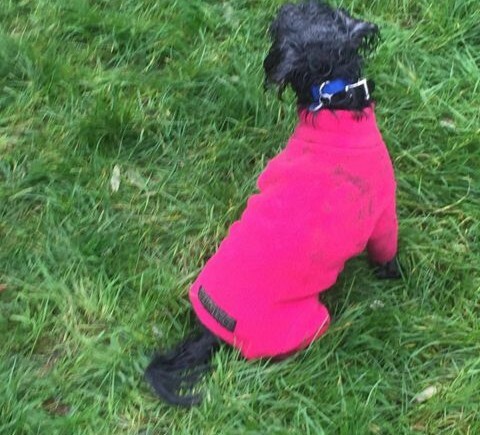 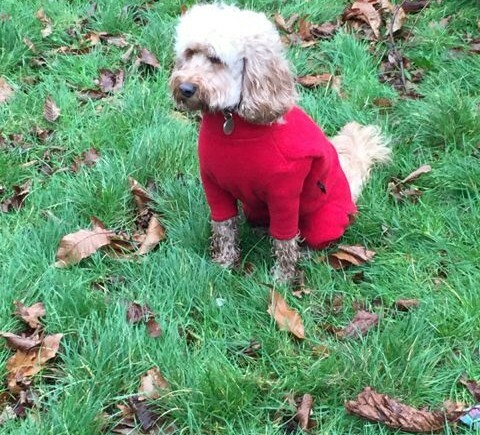 O come, all ye Doodles – it’s Holiday jumper meet in Hyde Park! 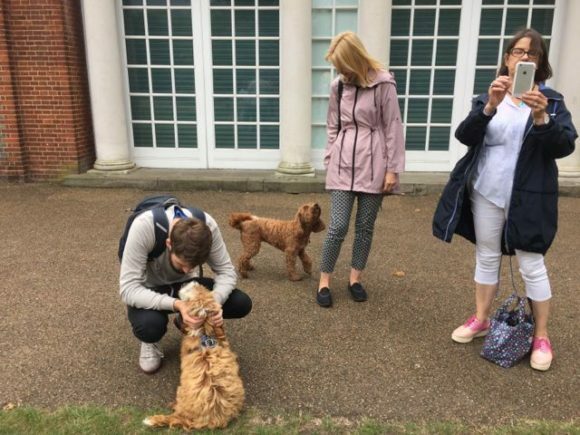 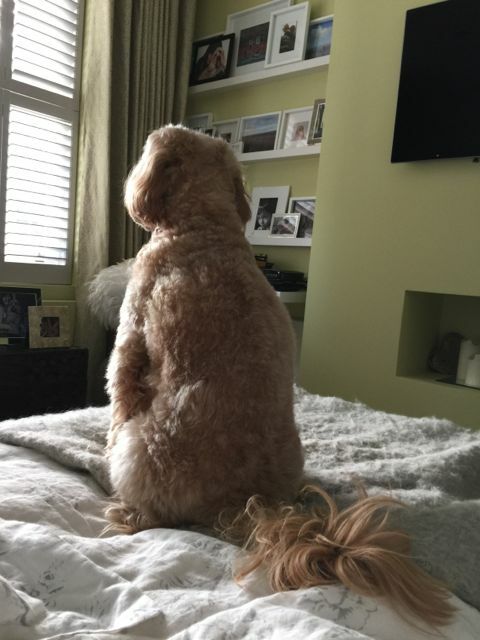 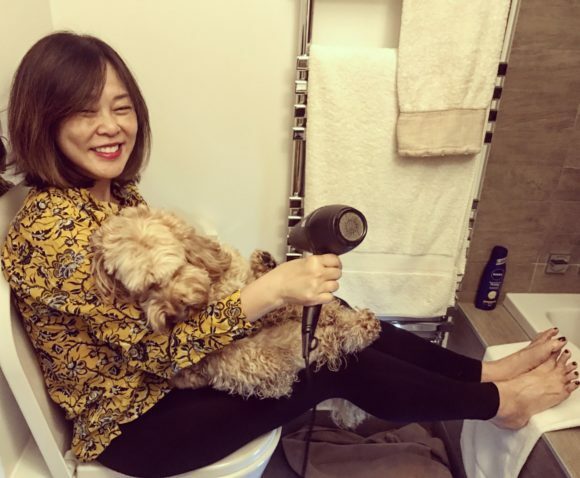 This is a normal day in the life with Stanley and family. 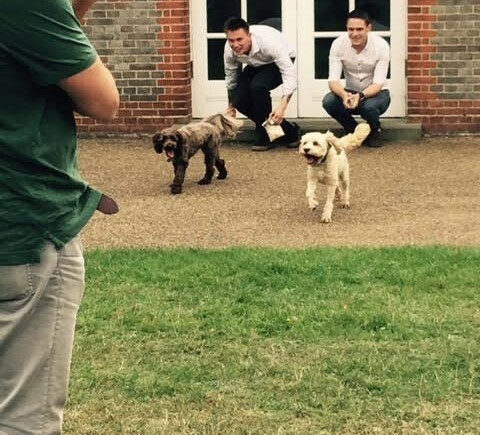 The Stoic, the Heroic and the Lunatic!